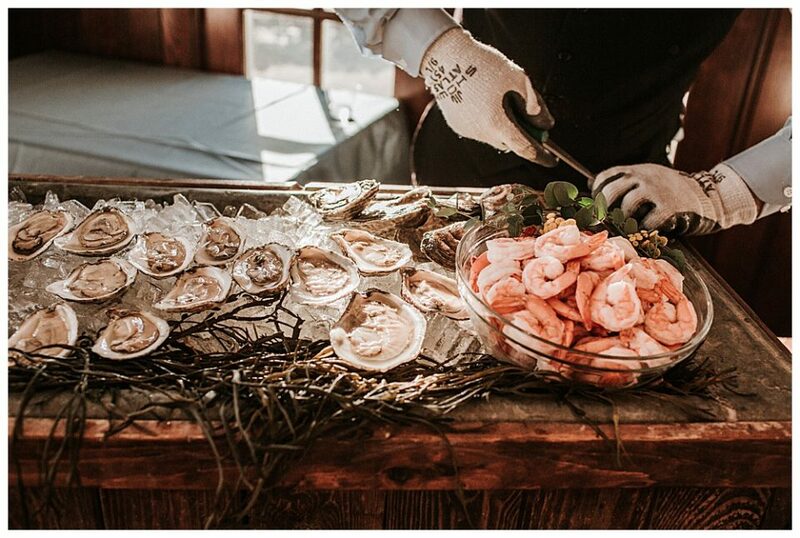 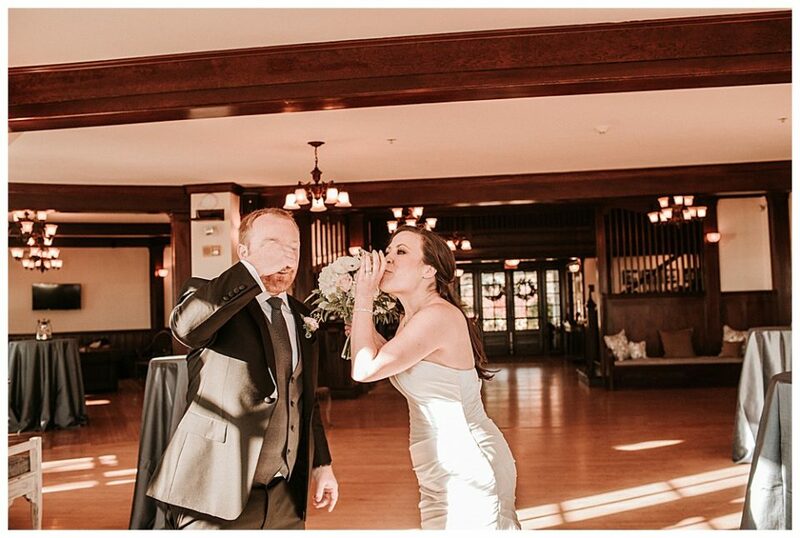 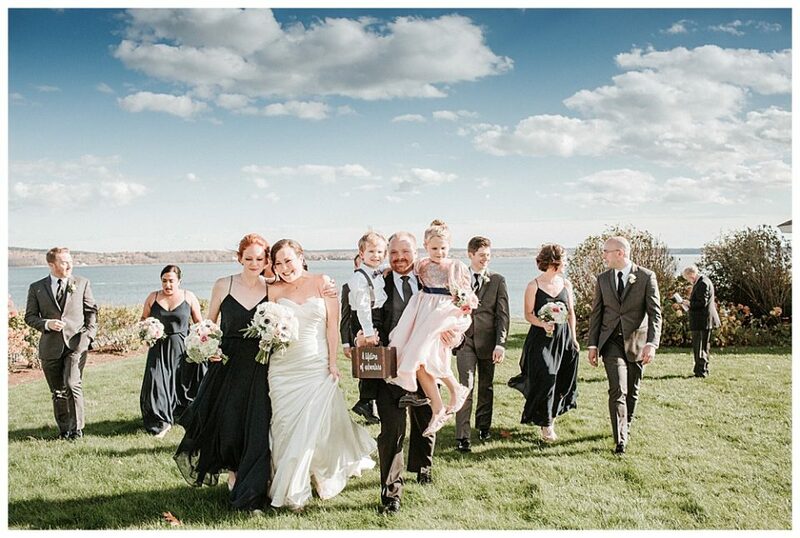 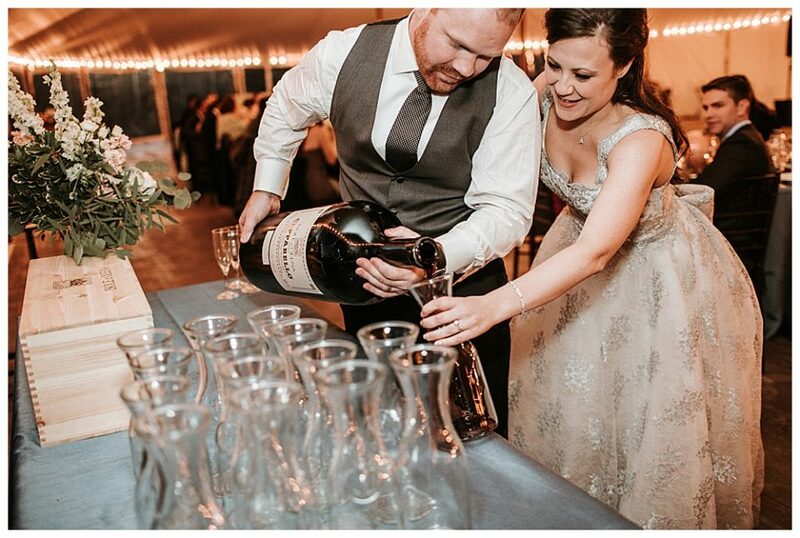 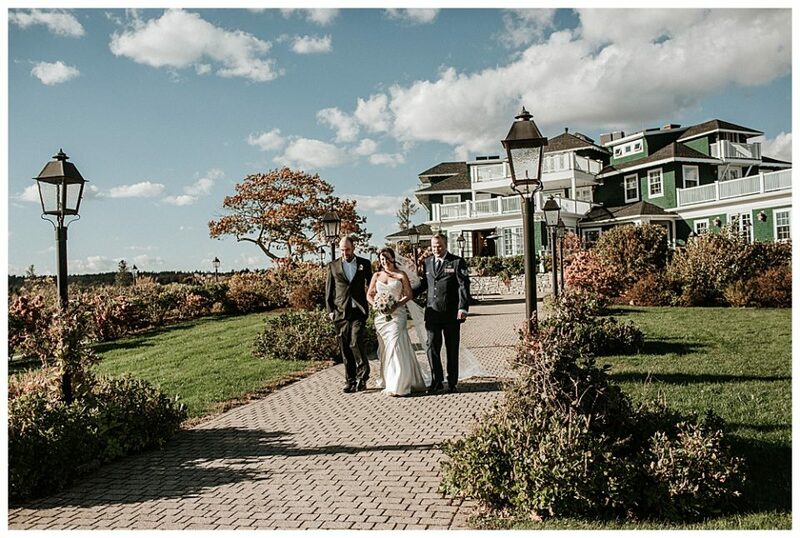 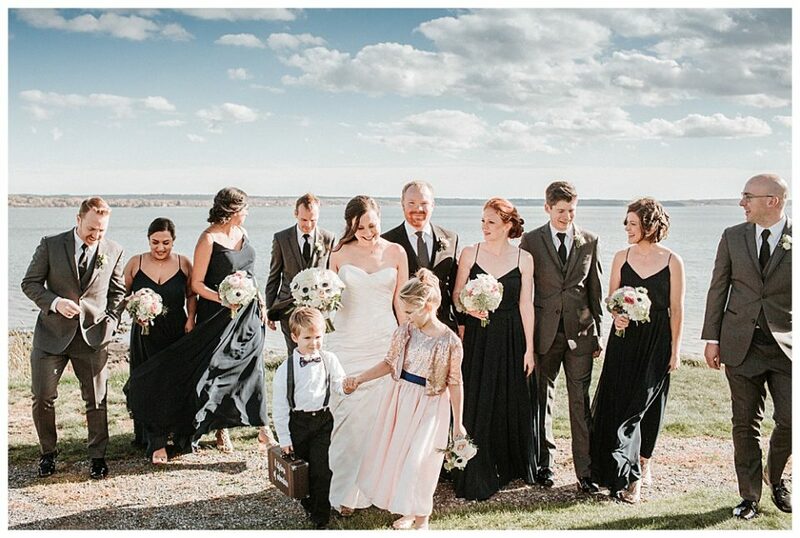 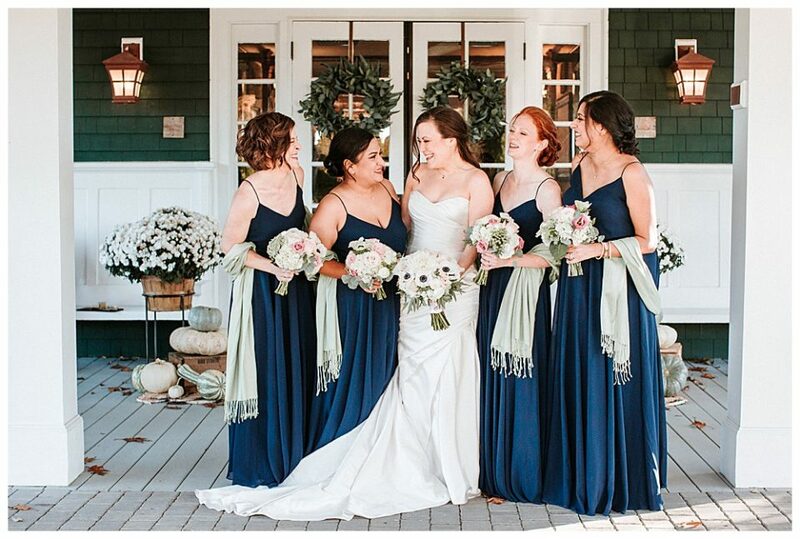 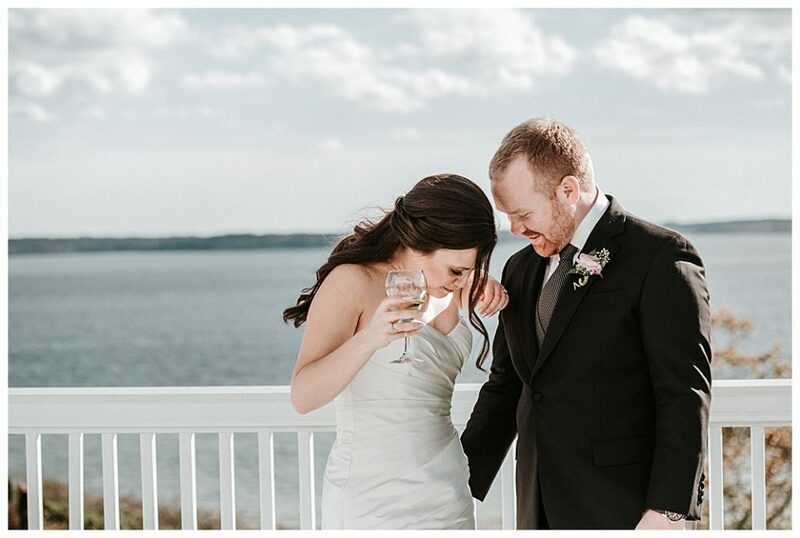 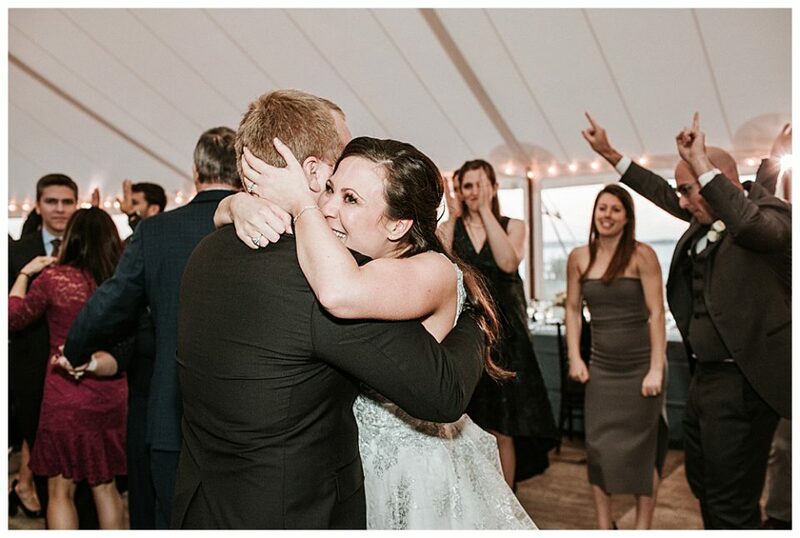 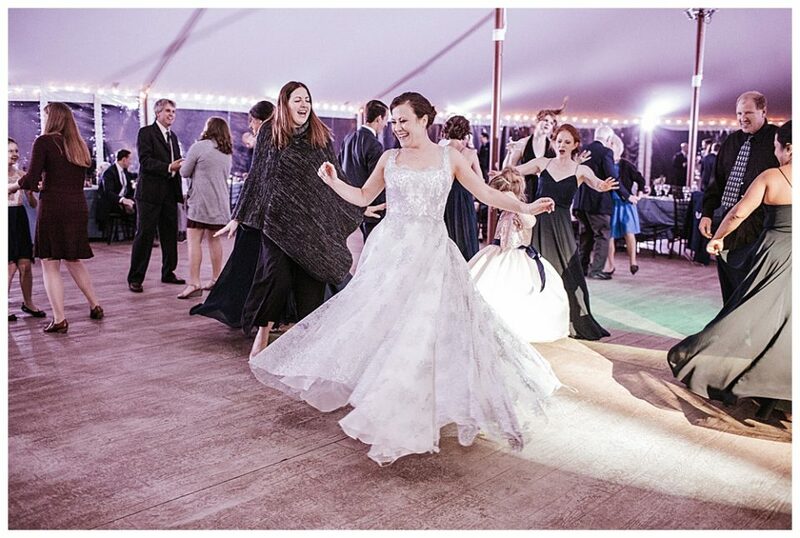 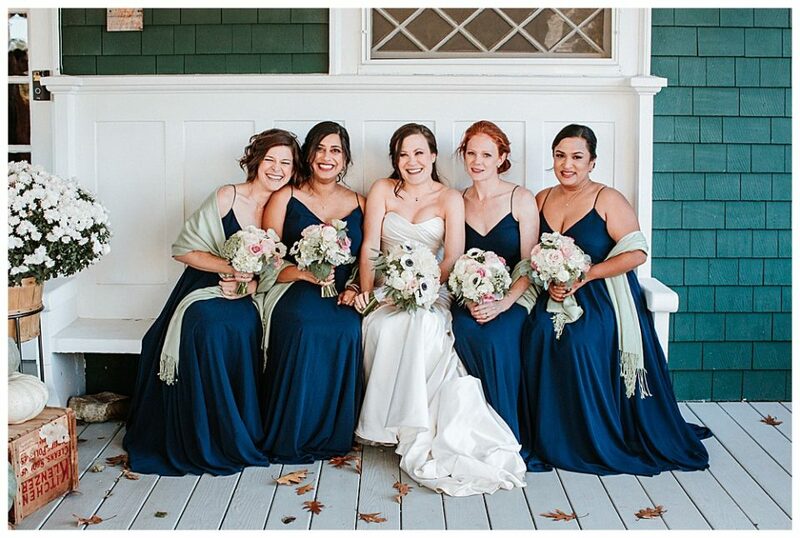 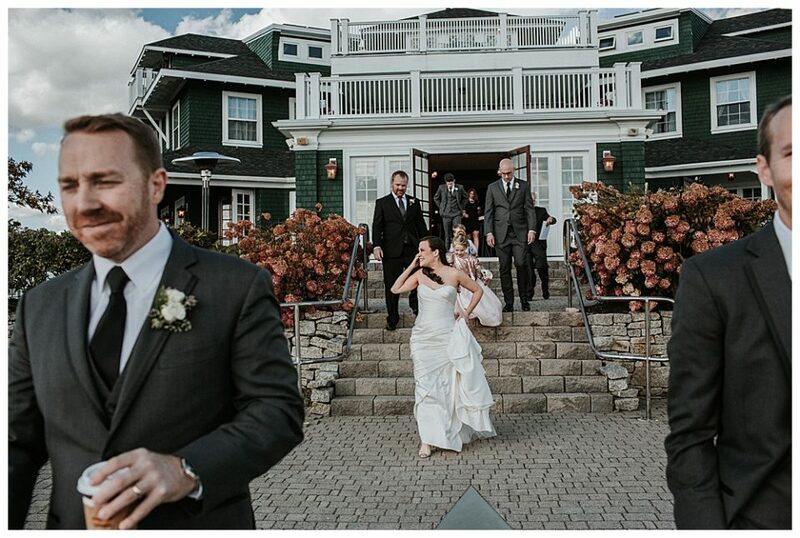 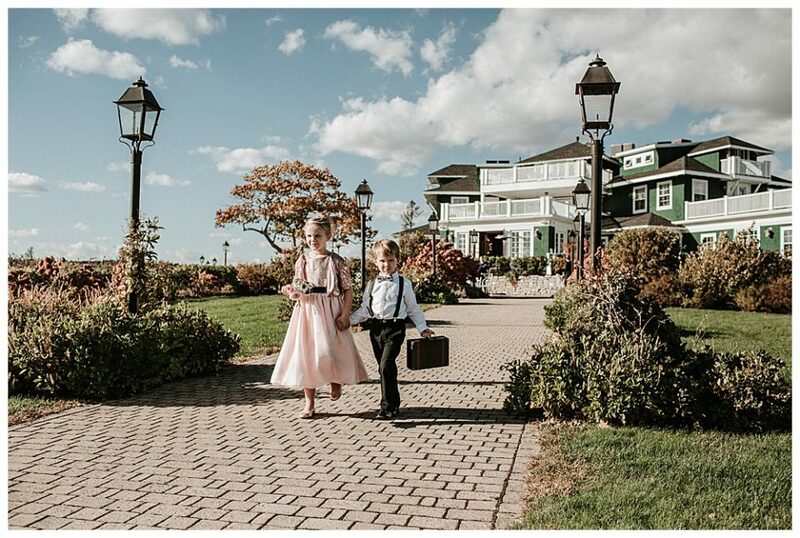 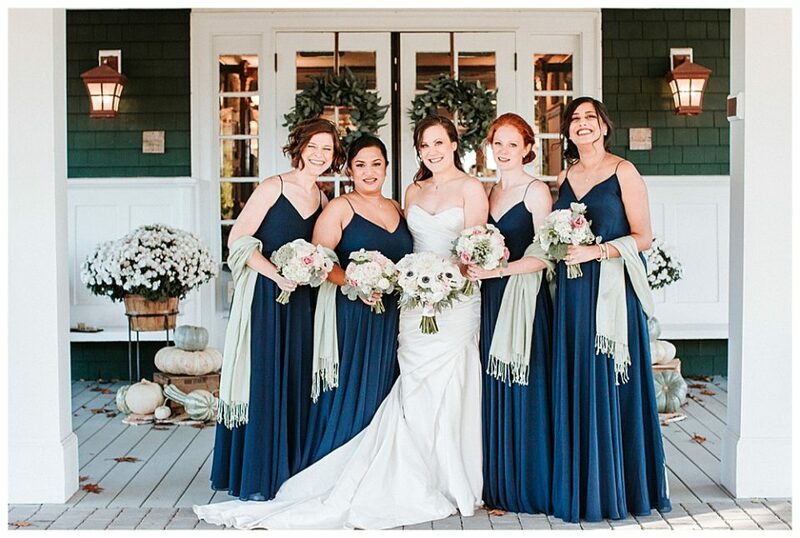 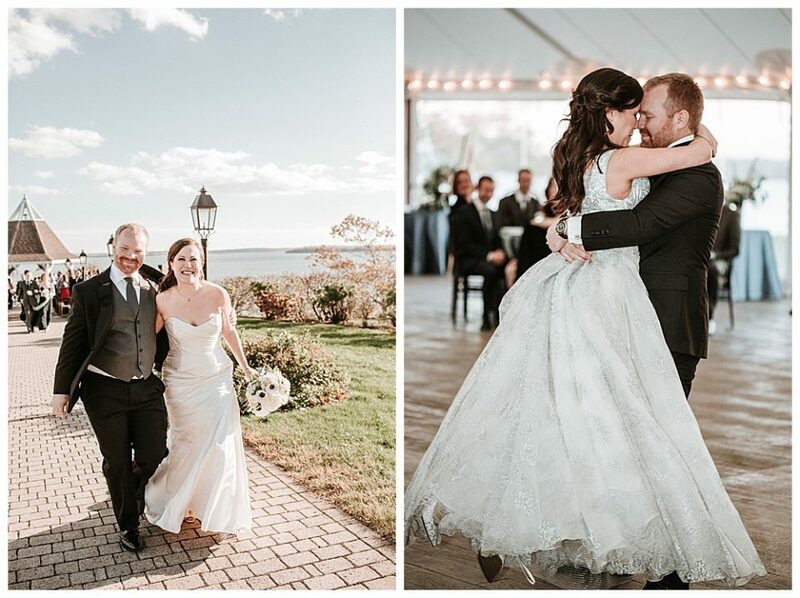 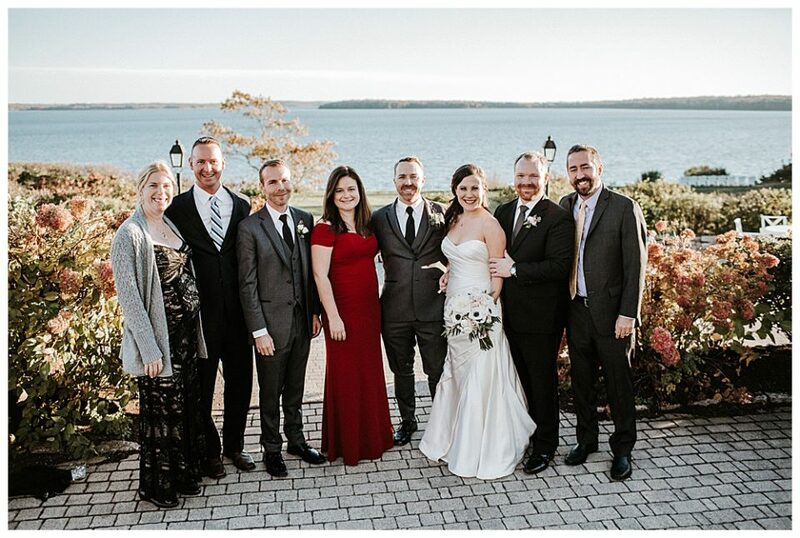 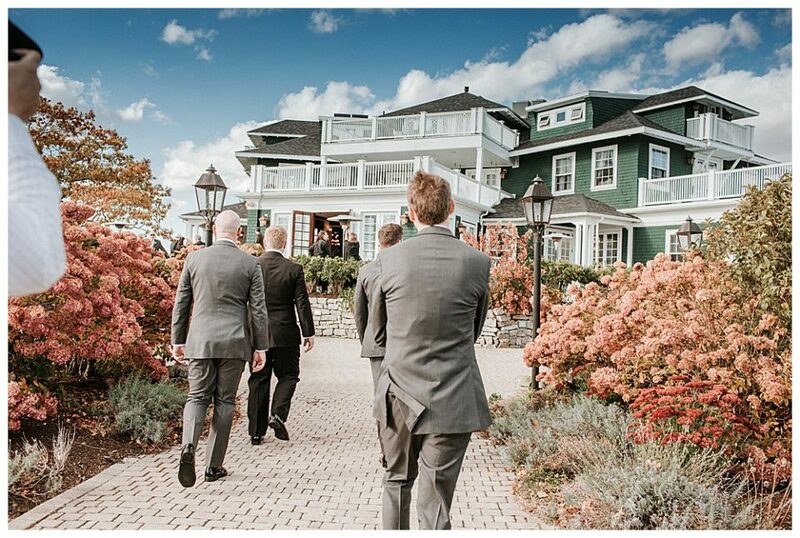 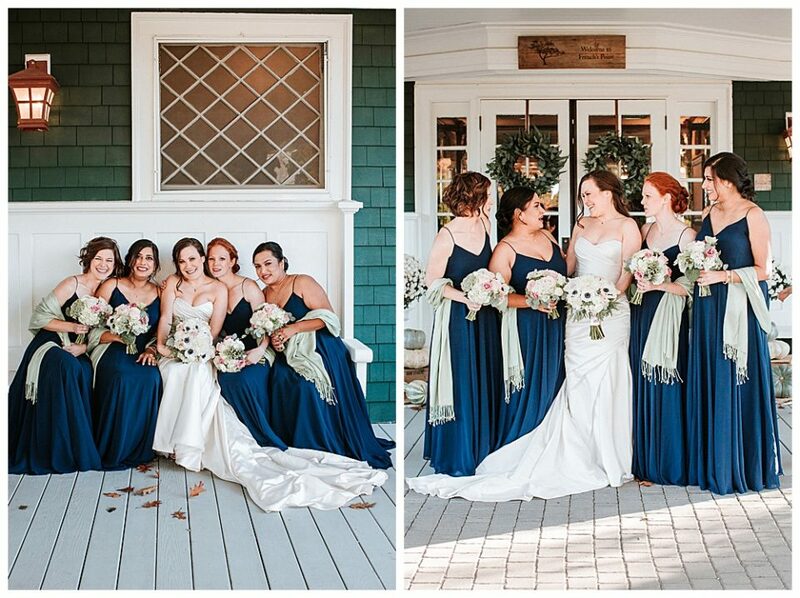 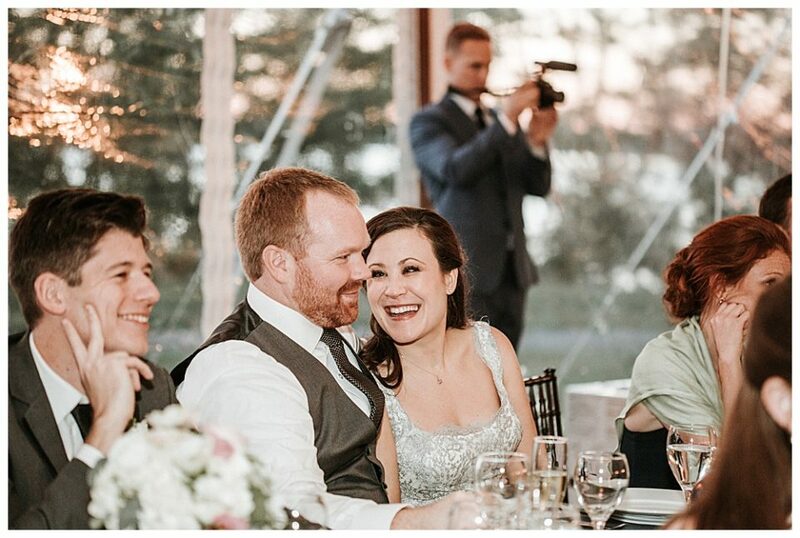 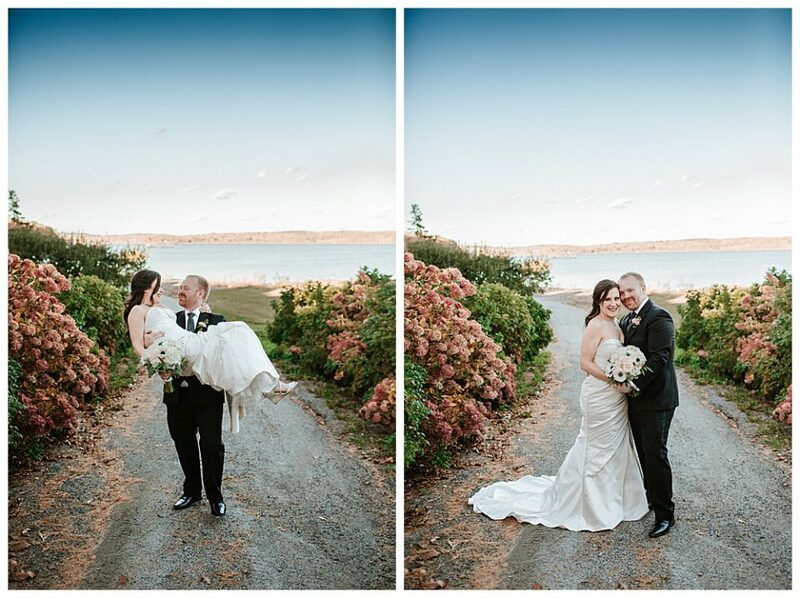 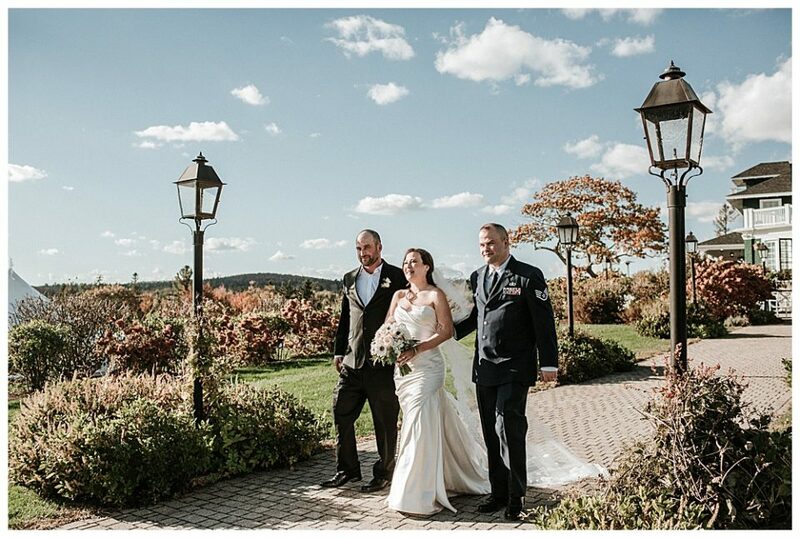 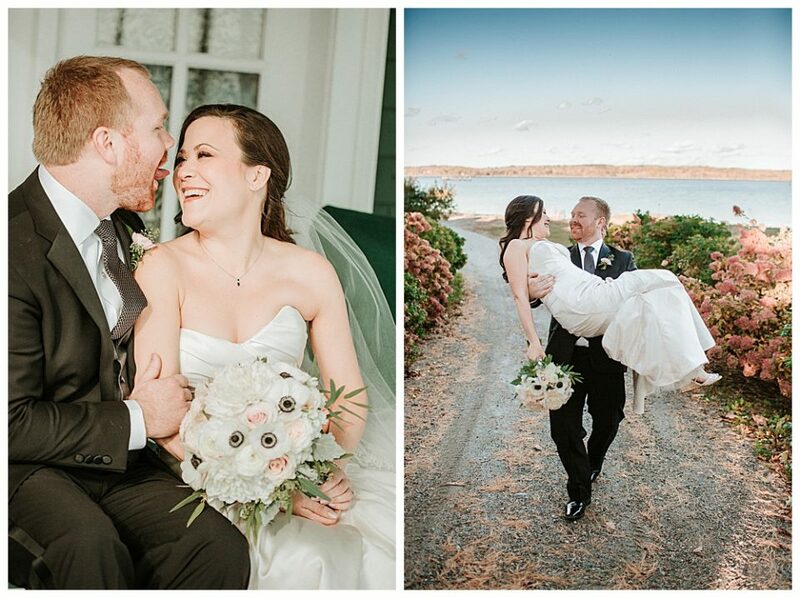 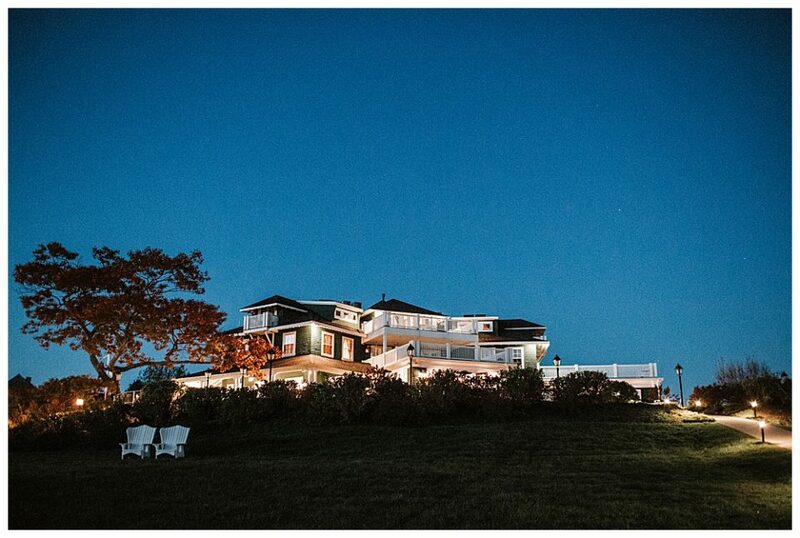 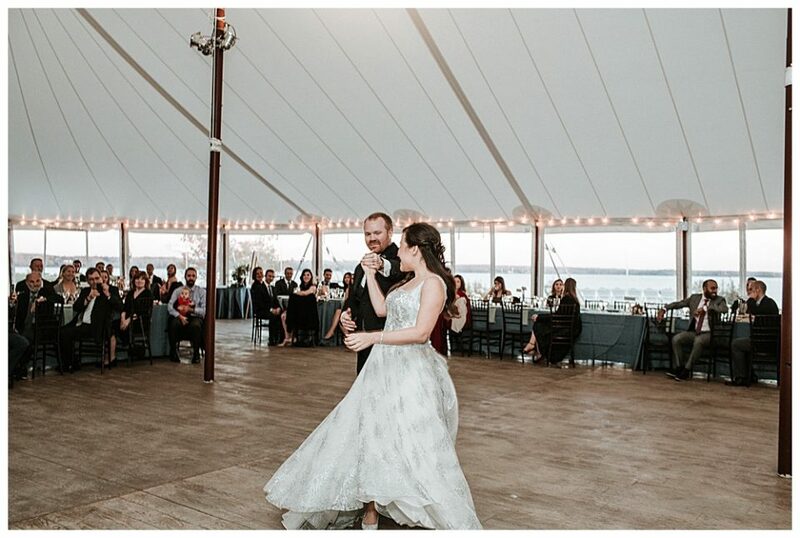 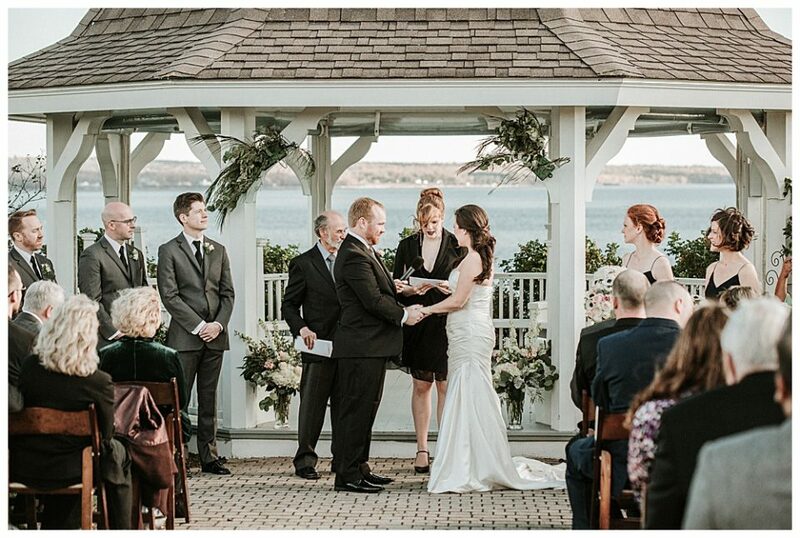 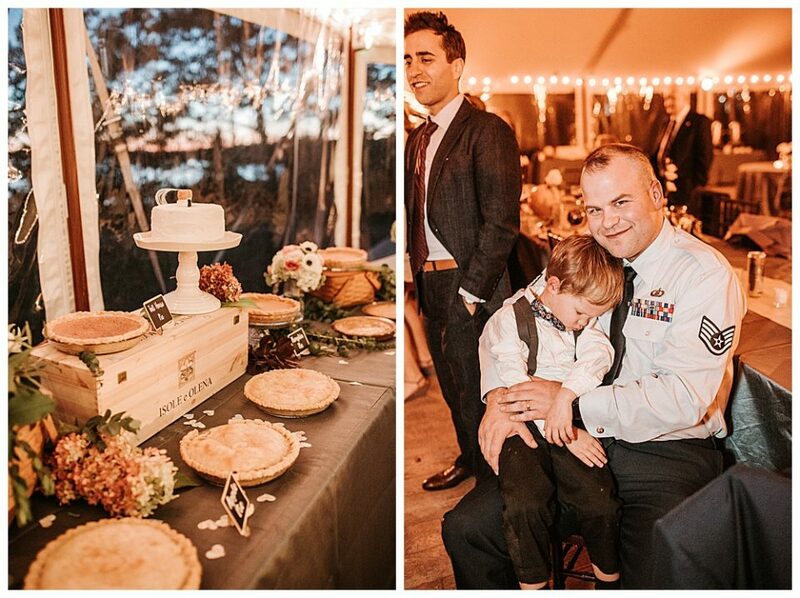 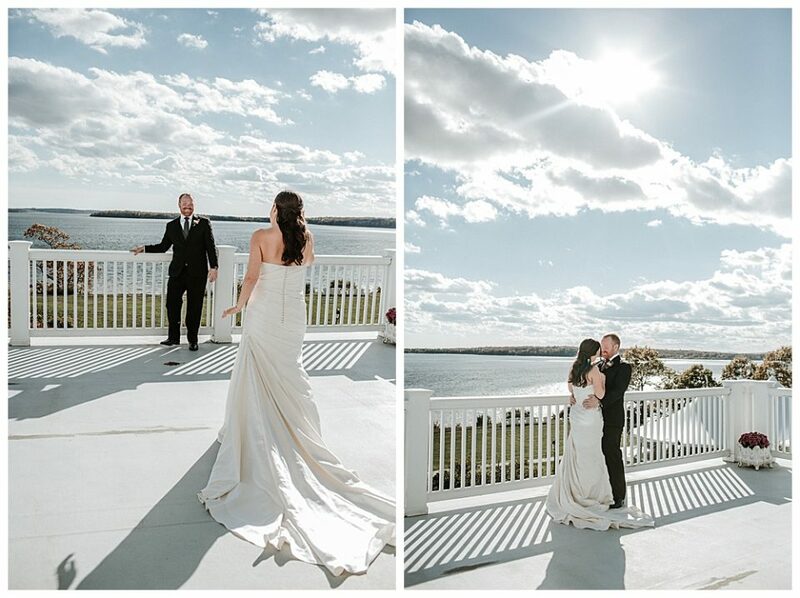 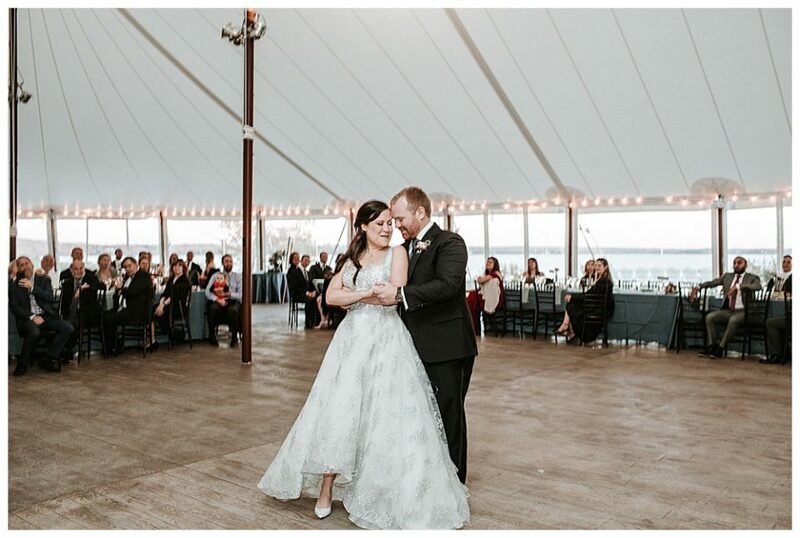 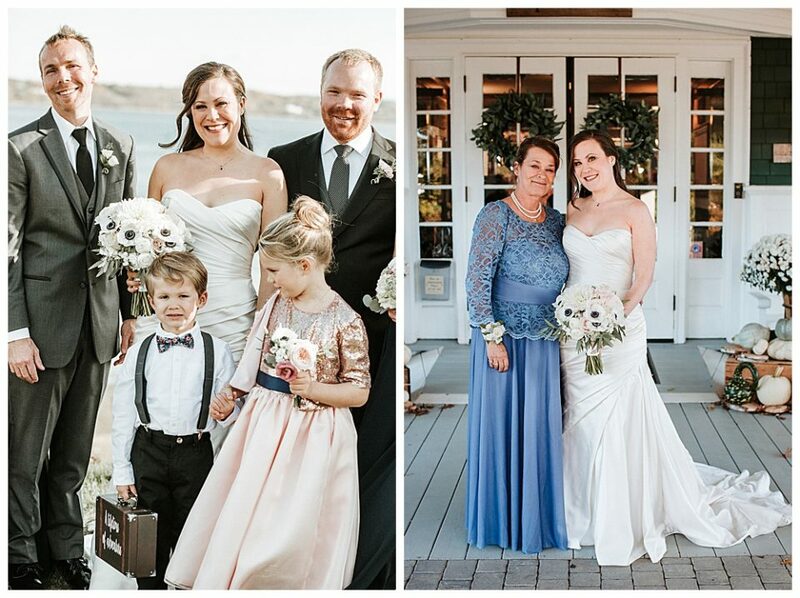 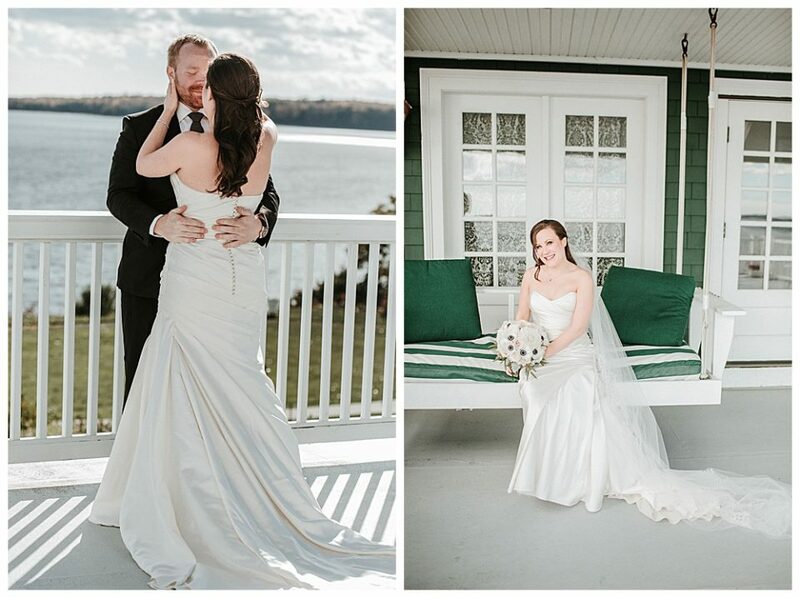 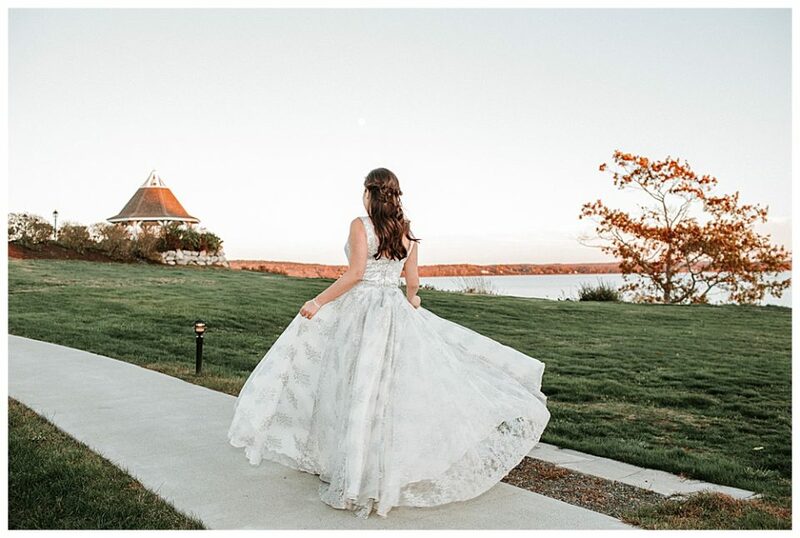 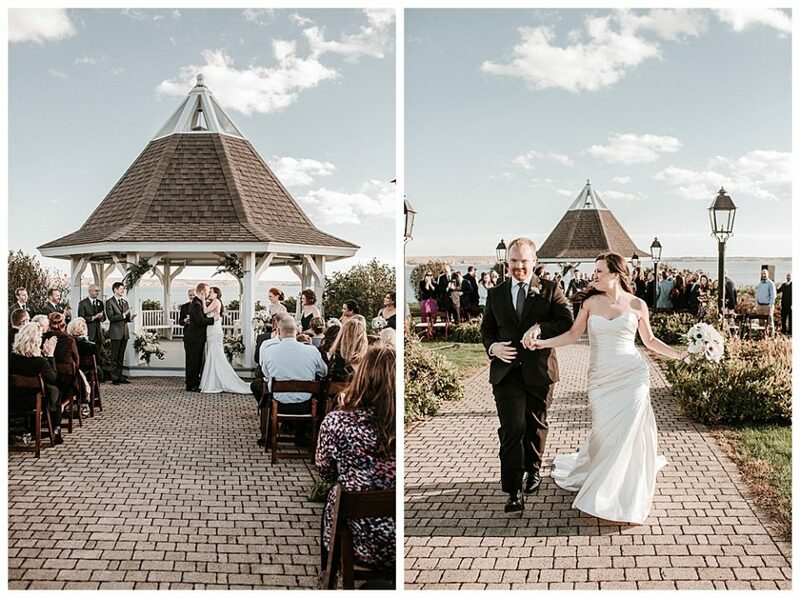 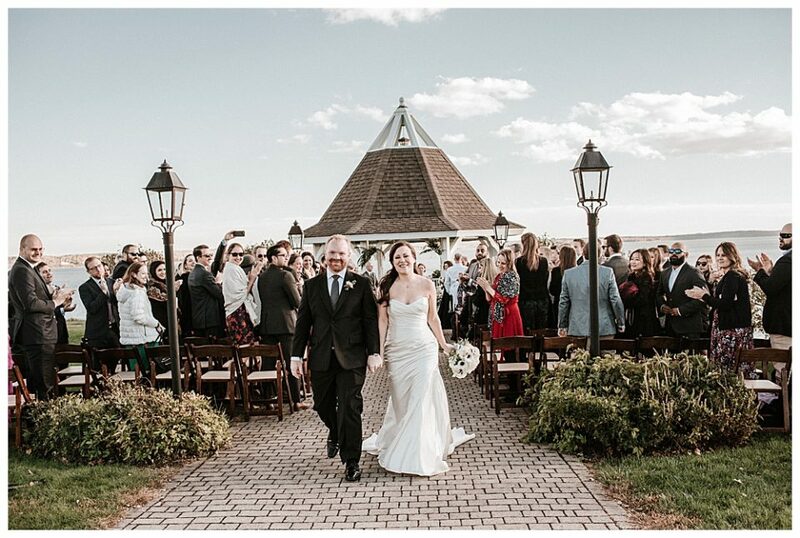 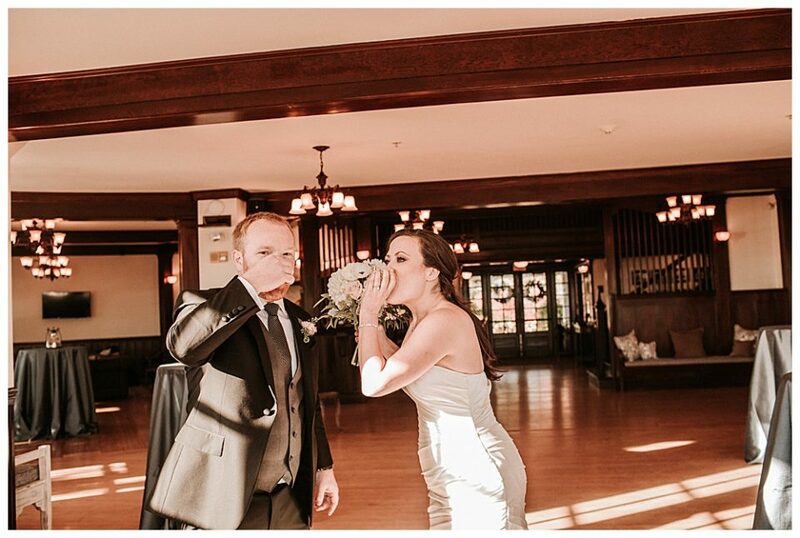 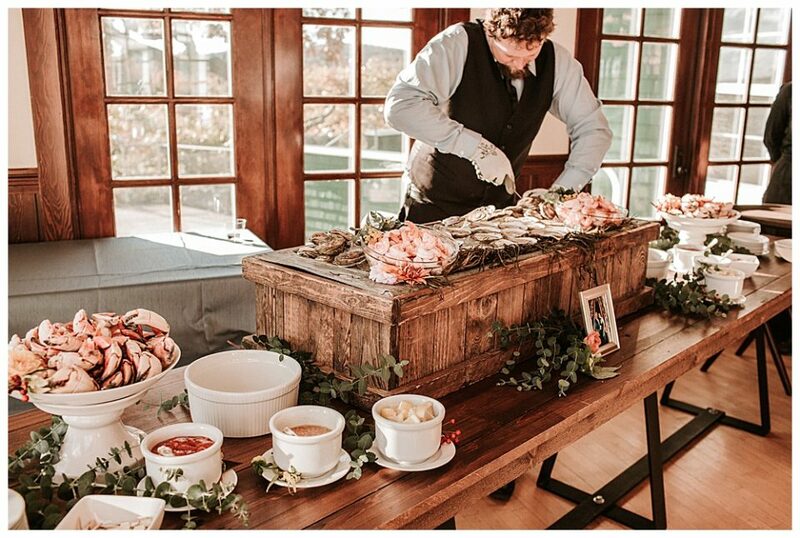 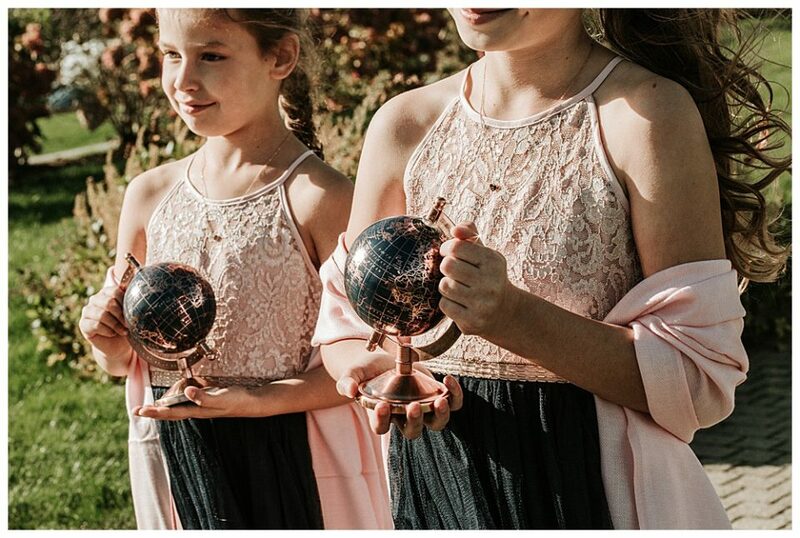 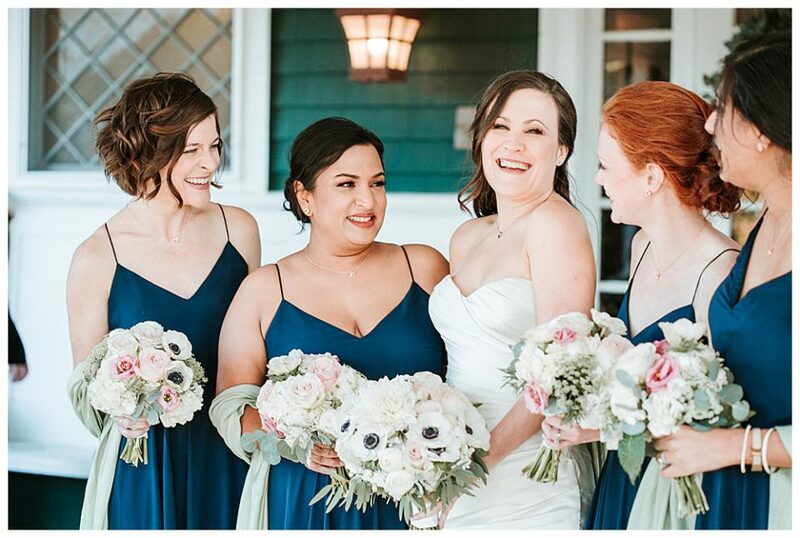 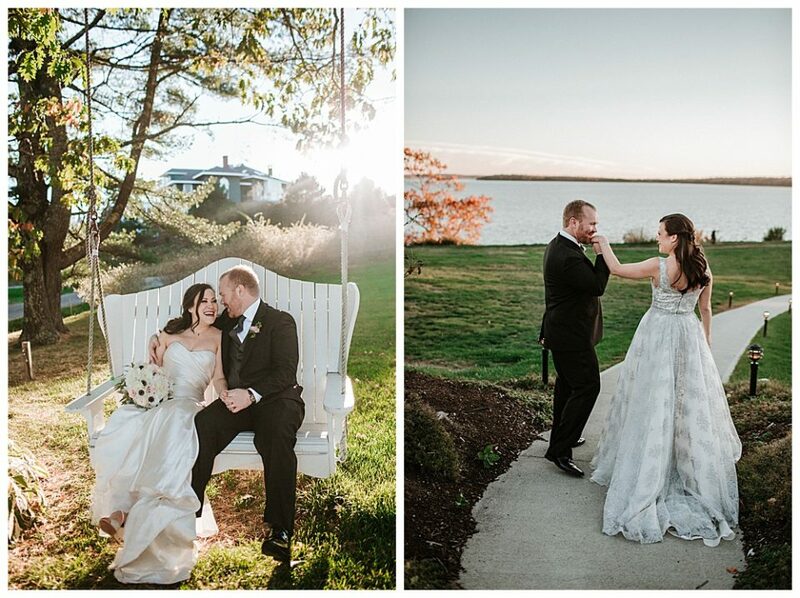 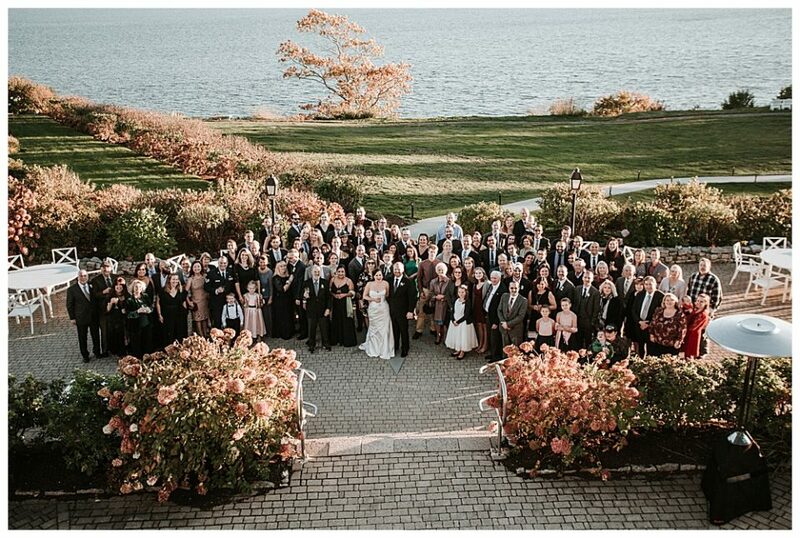 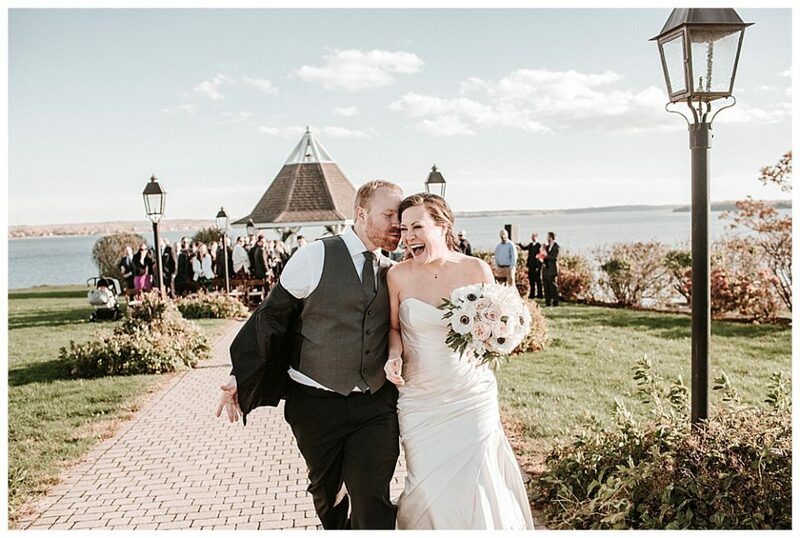 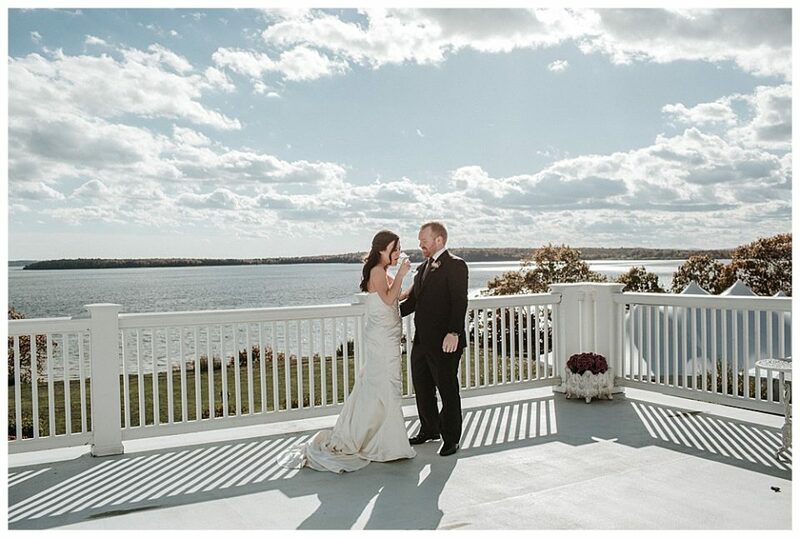 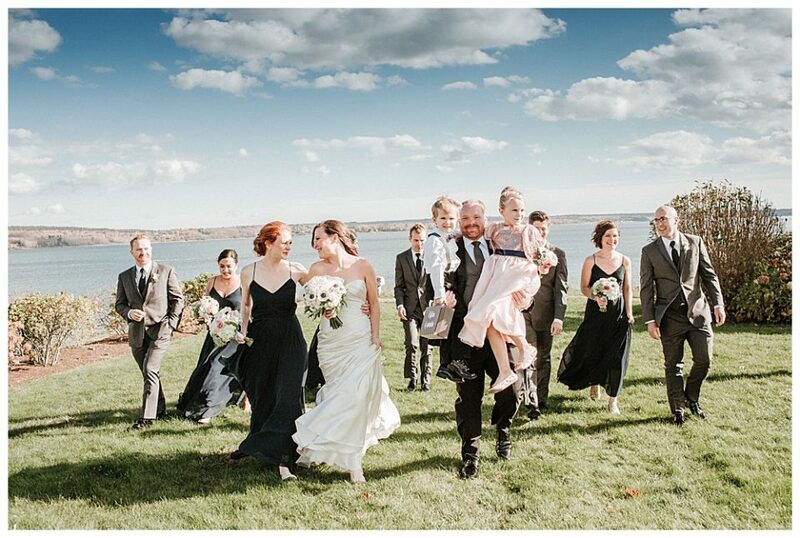 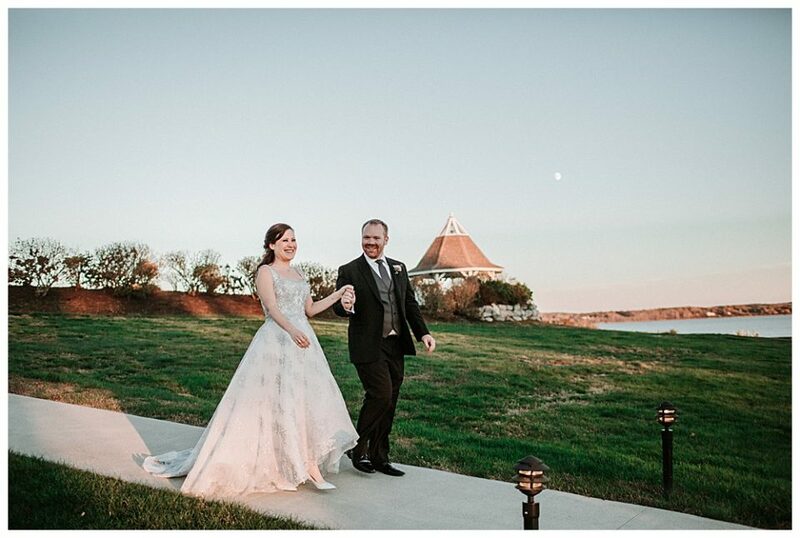 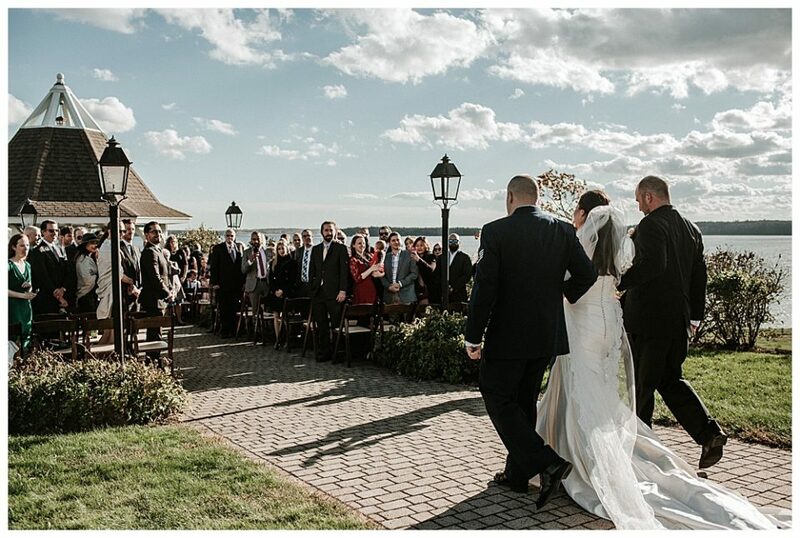 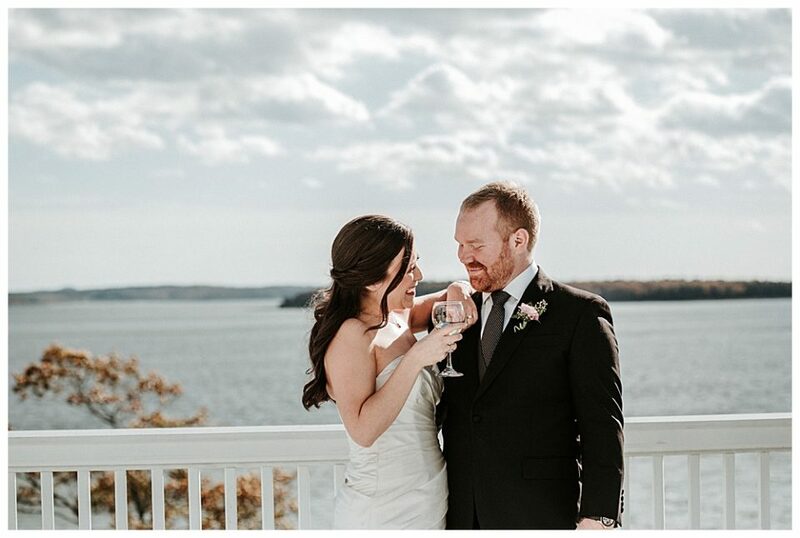 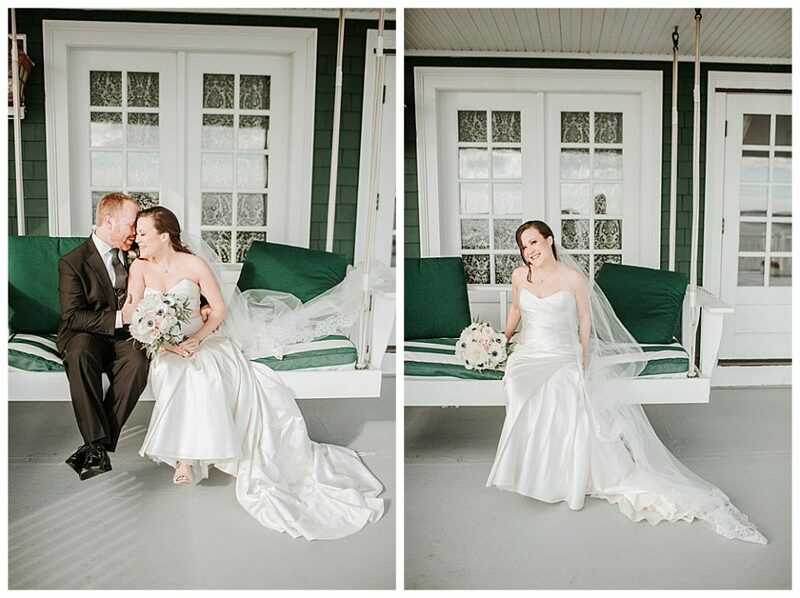 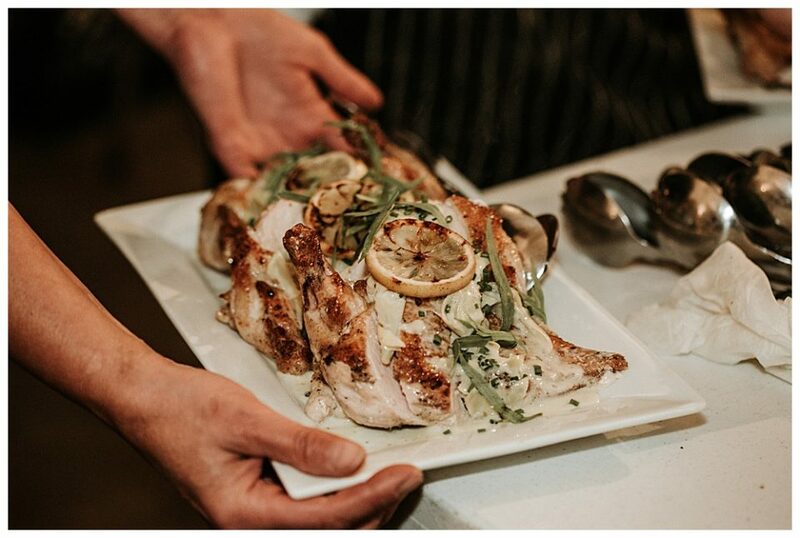 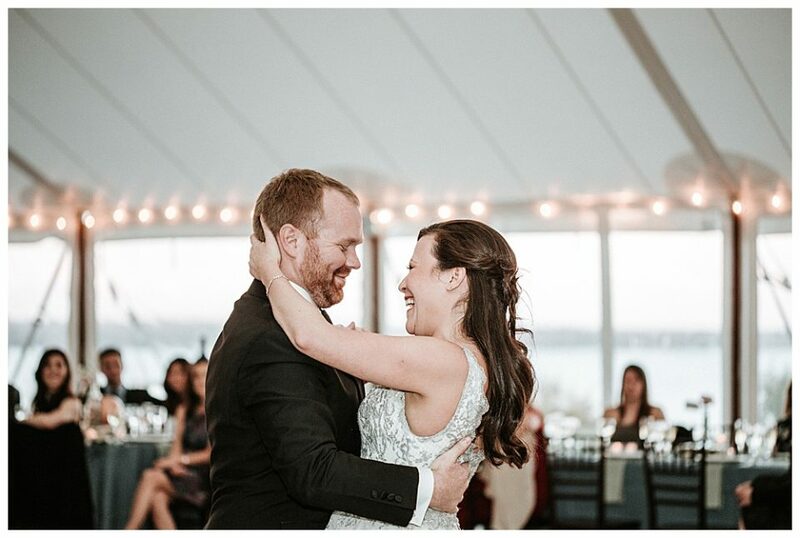 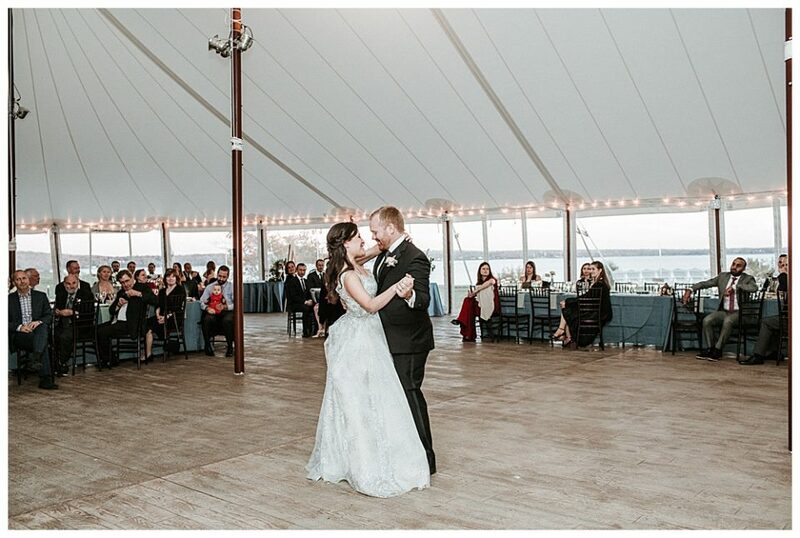 French’s Point is one of the leading wedding venues in all of New England. 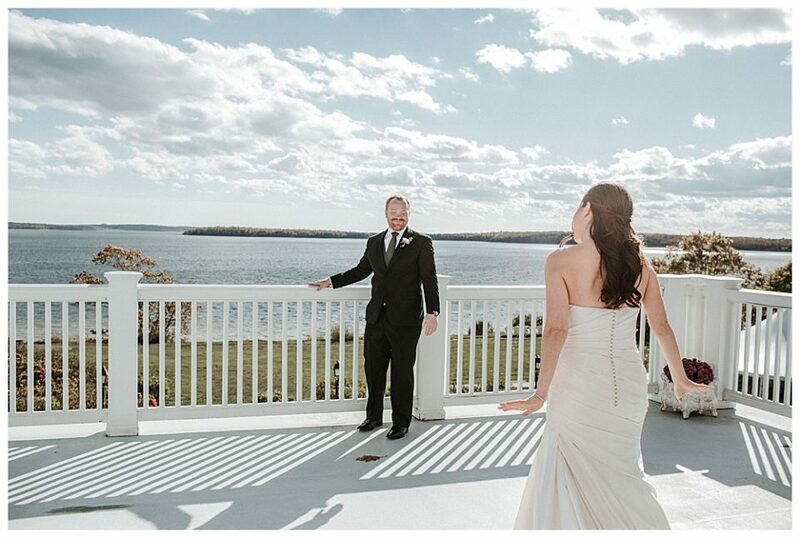 It is located in the midcoast region and settled on the Penobscot Bay. 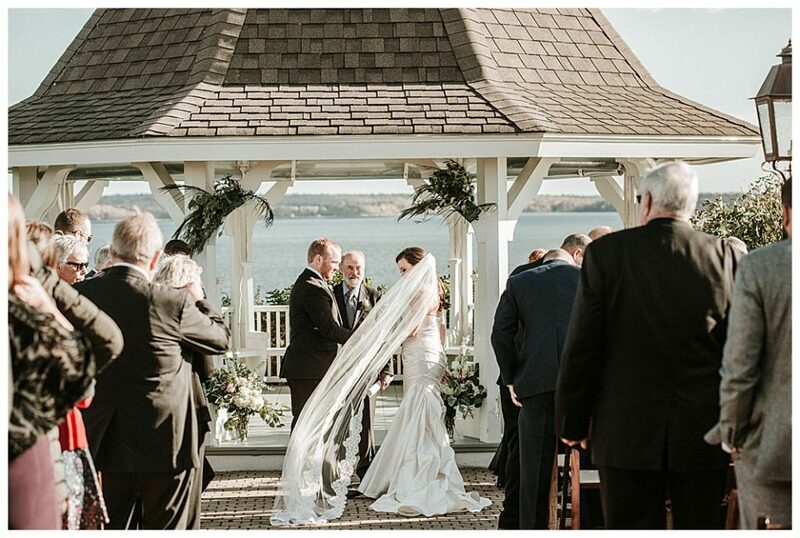 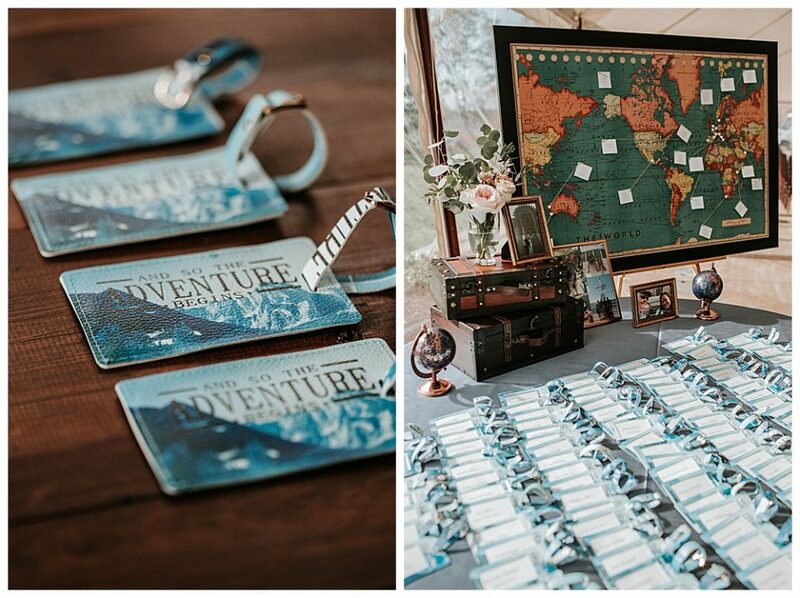 It has everything you could want in a wedding venue: on-site lodging, amazing views, stunning natural light, and a private beach. 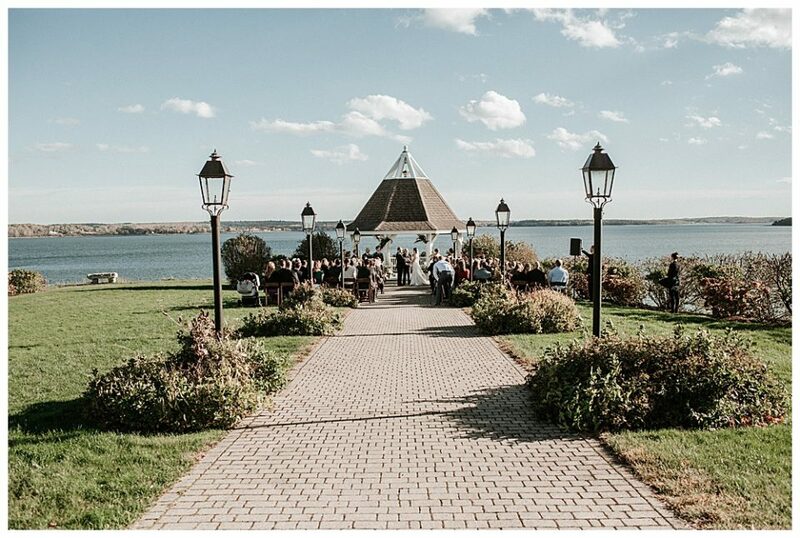 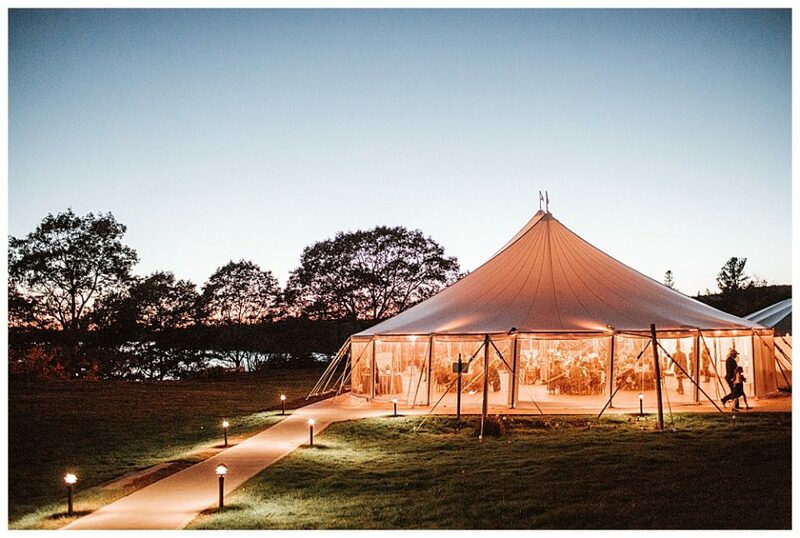 The venue is available for weddings all year and is amazing in every season. 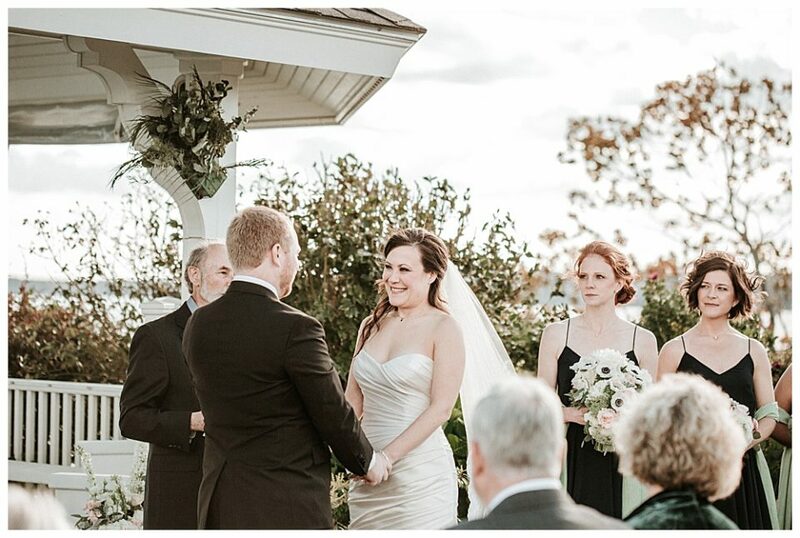 On Jess and Colin’s October wedding day it was unseasonably cold. 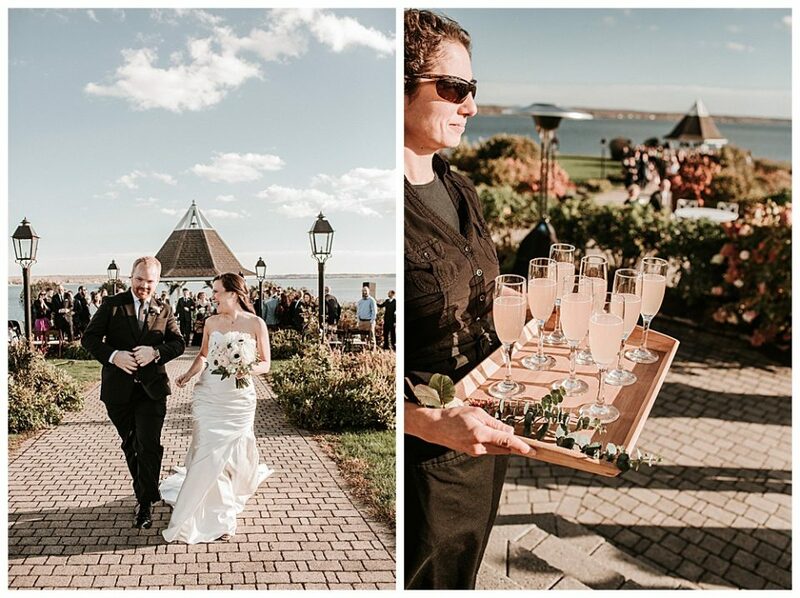 Everyone basked in the sun on the Cobblestone terrace when it came out for the cocktail hour. 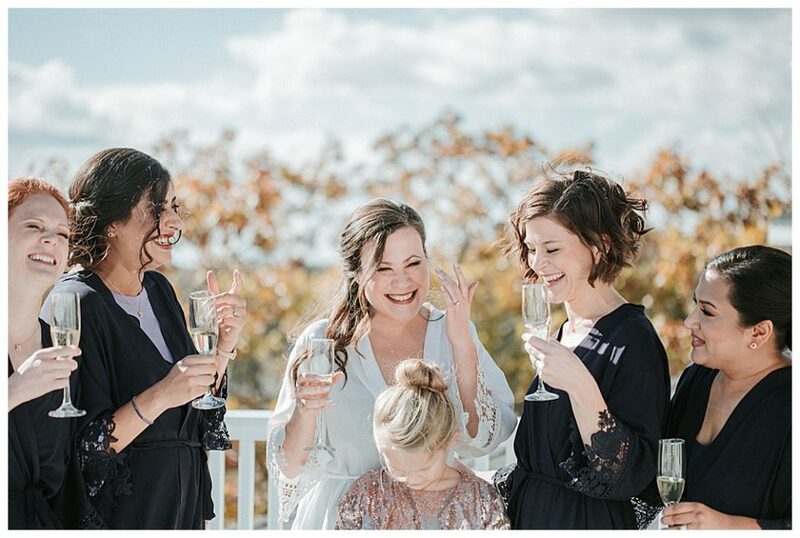 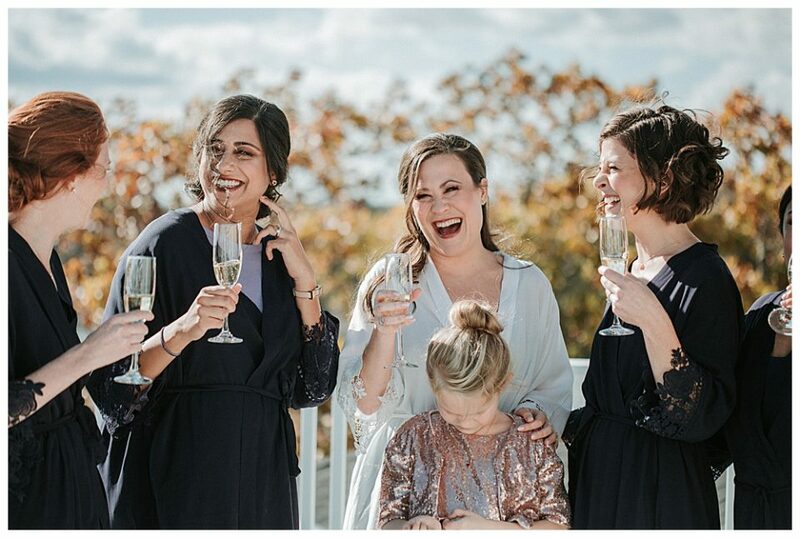 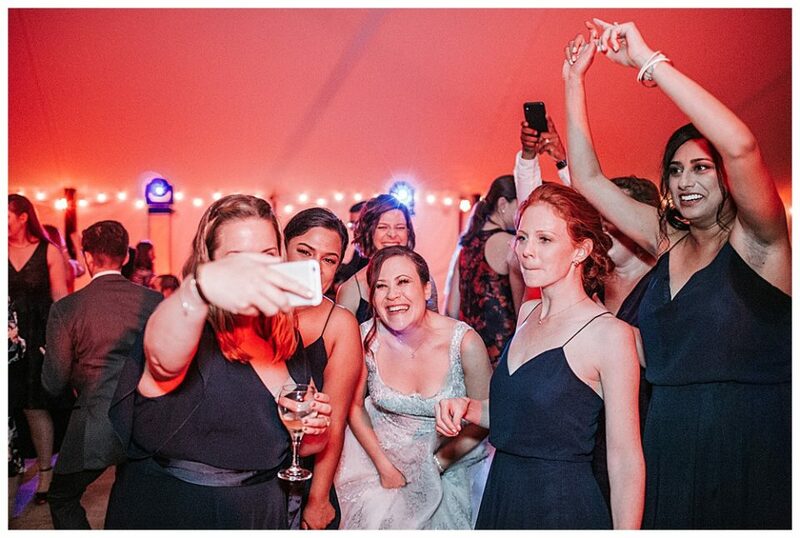 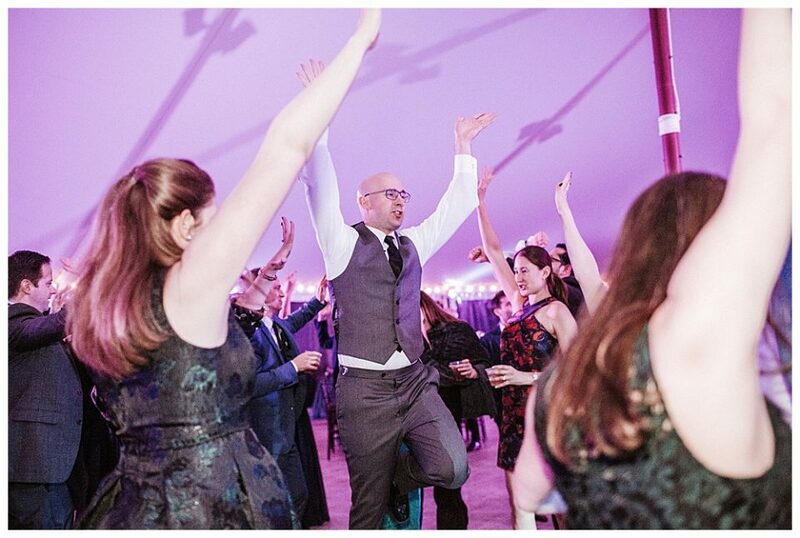 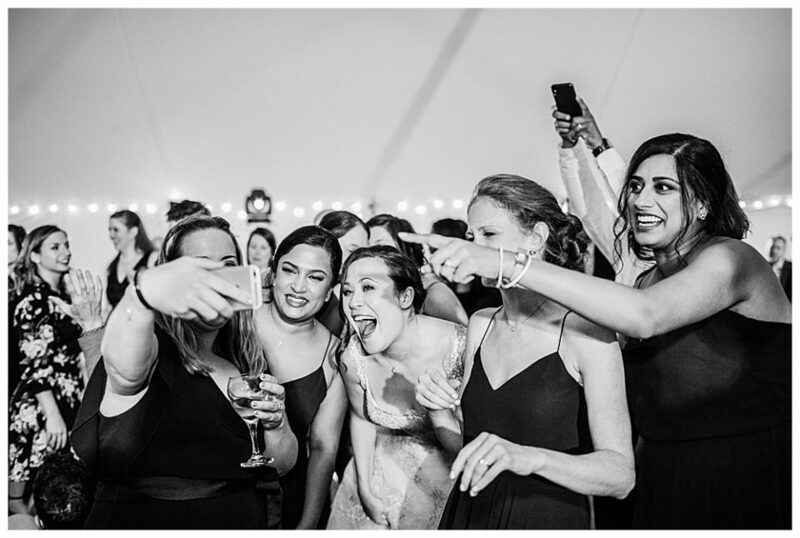 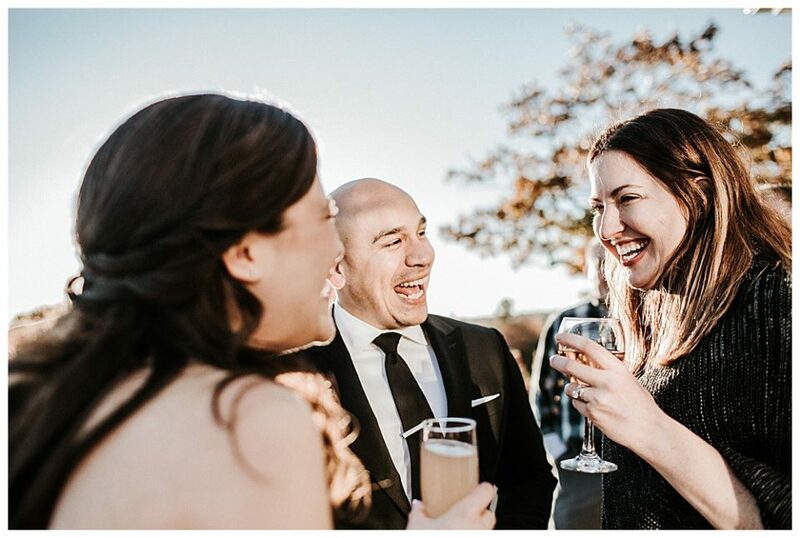 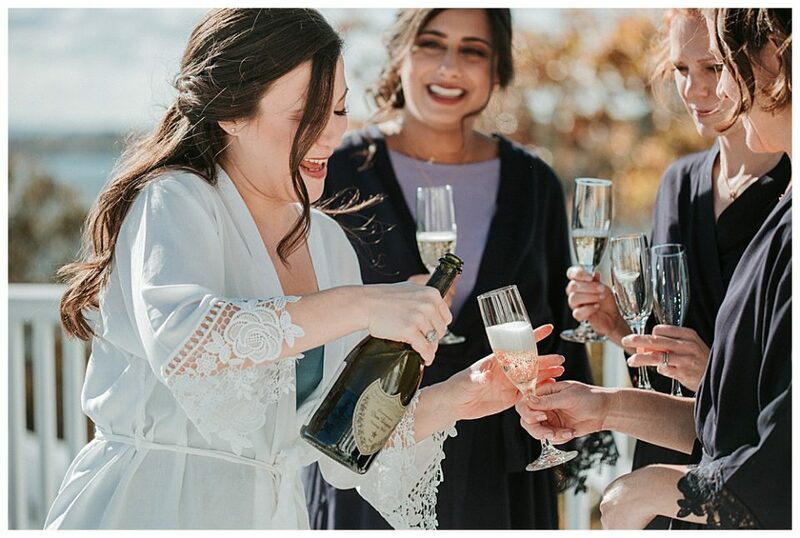 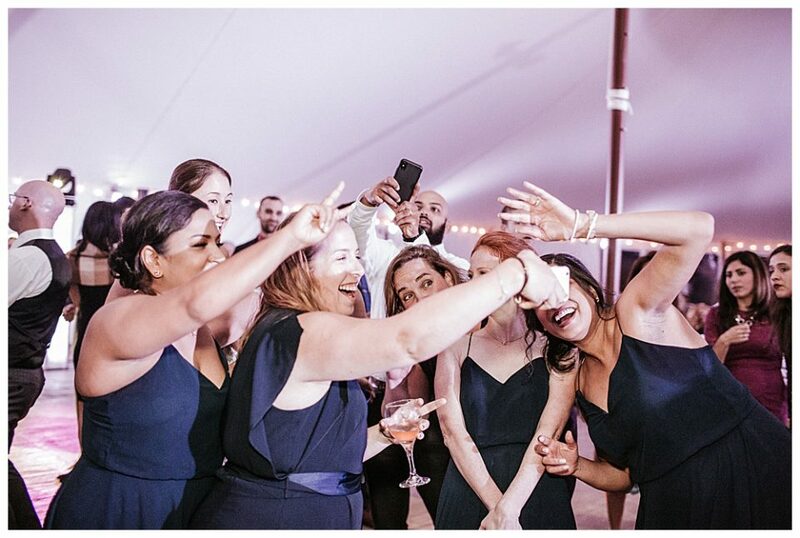 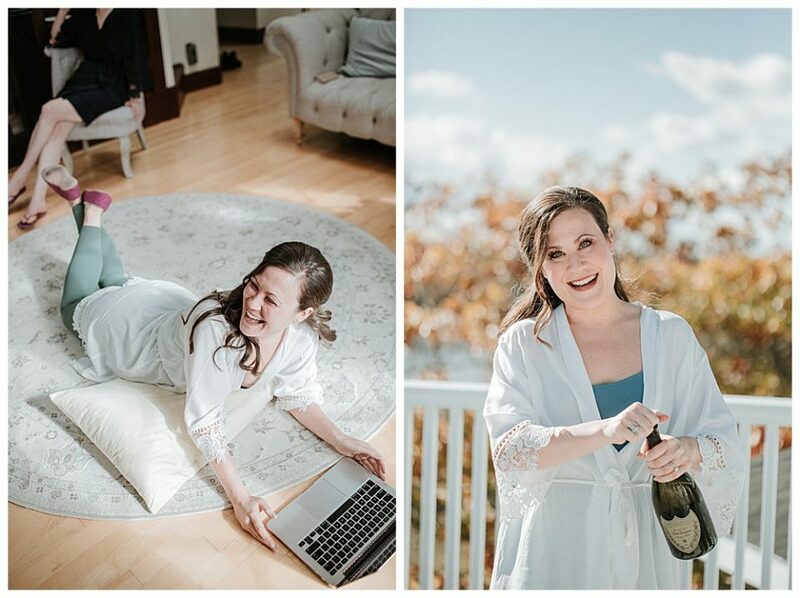 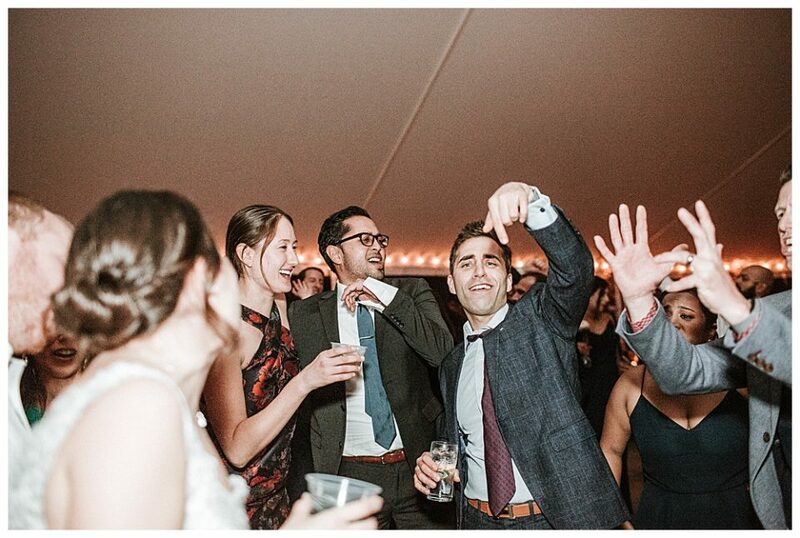 The wedding had lots of laughter and the wine flowed freely. 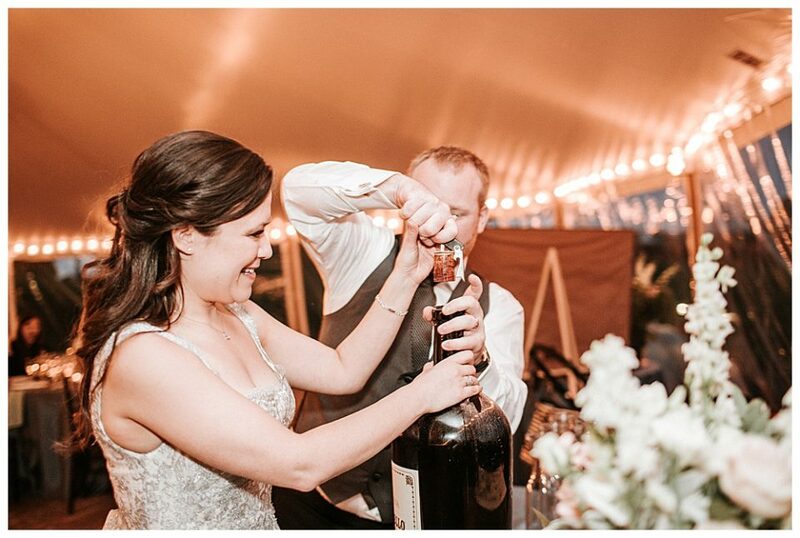 As I was finishing up I even enjoyed a taste of their Hungarian dessert wine! 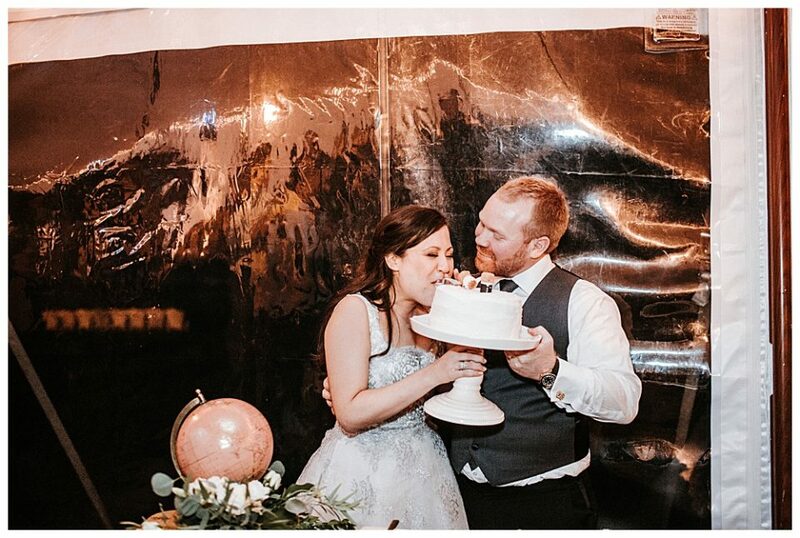 It was such a delight. 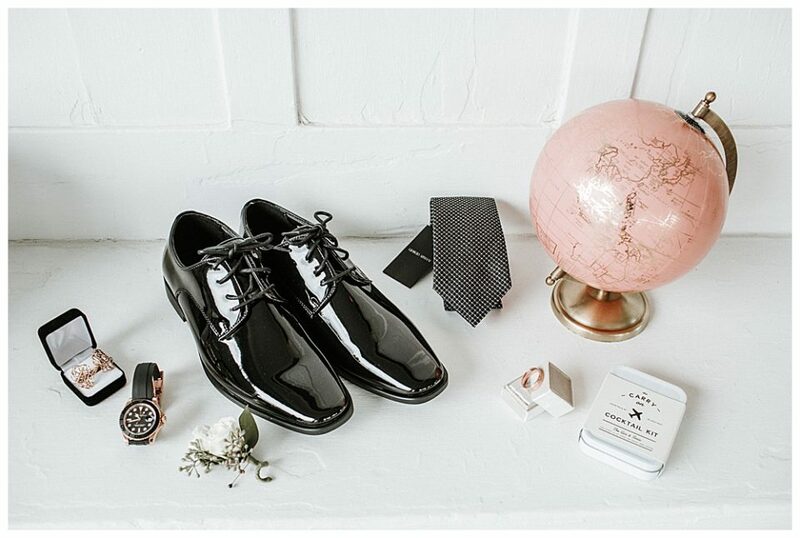 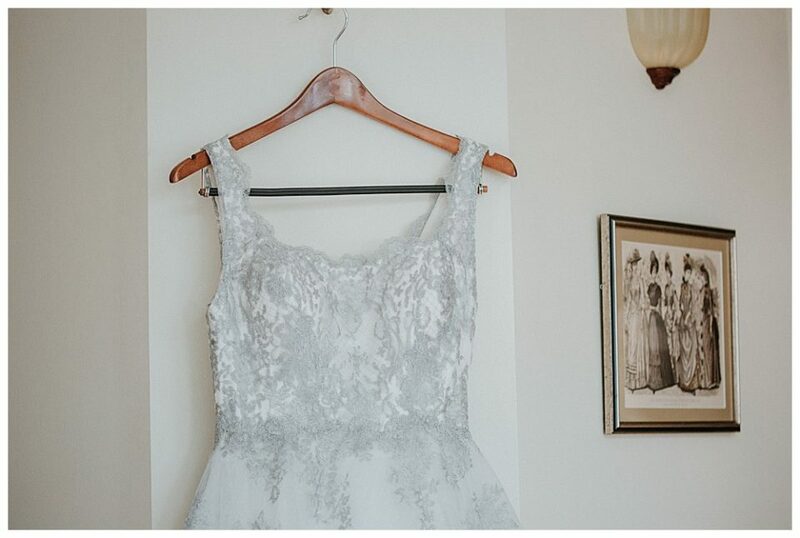 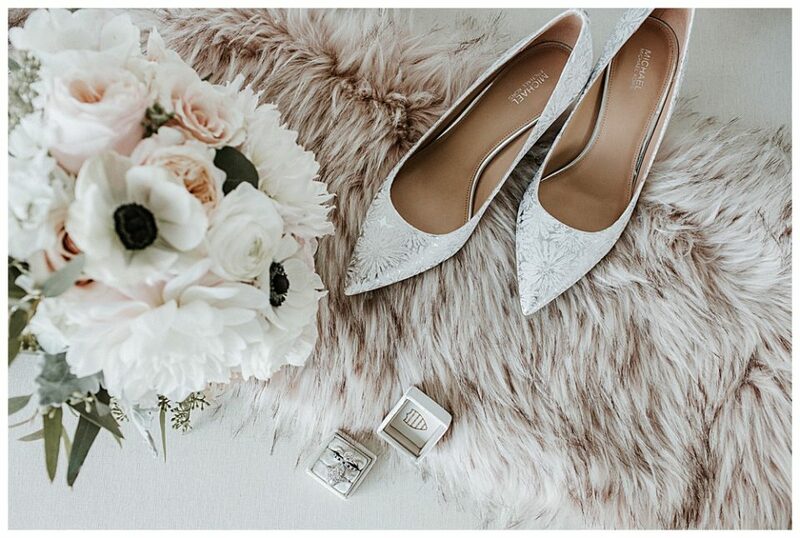 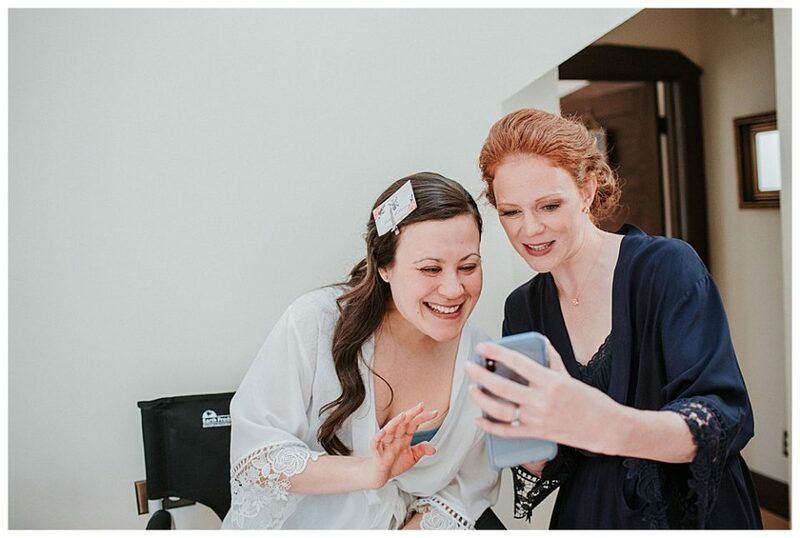 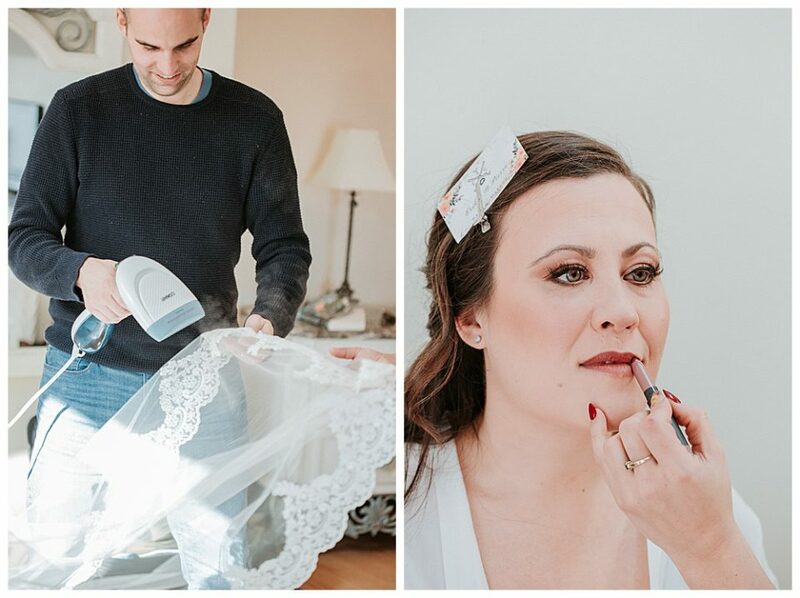 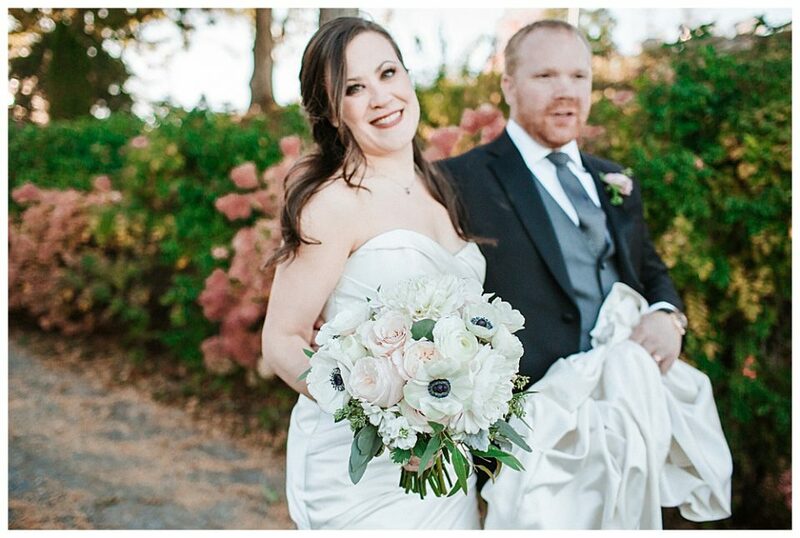 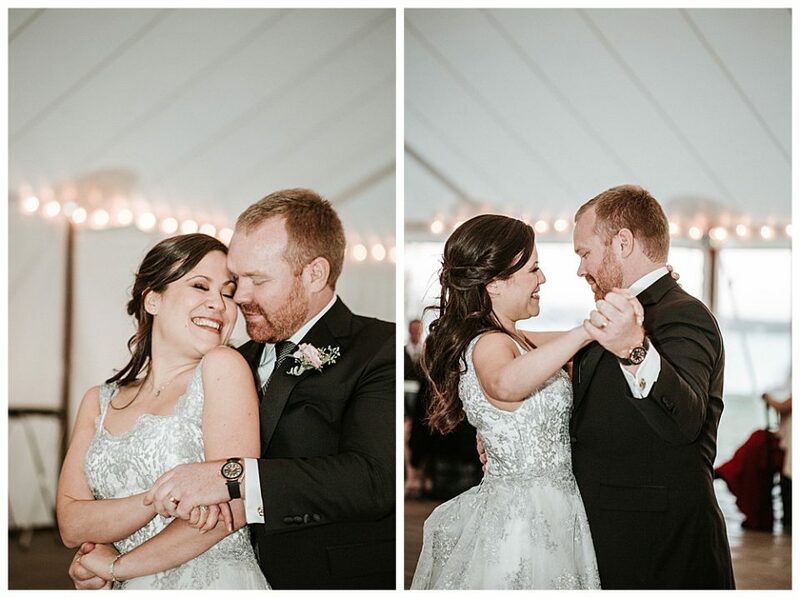 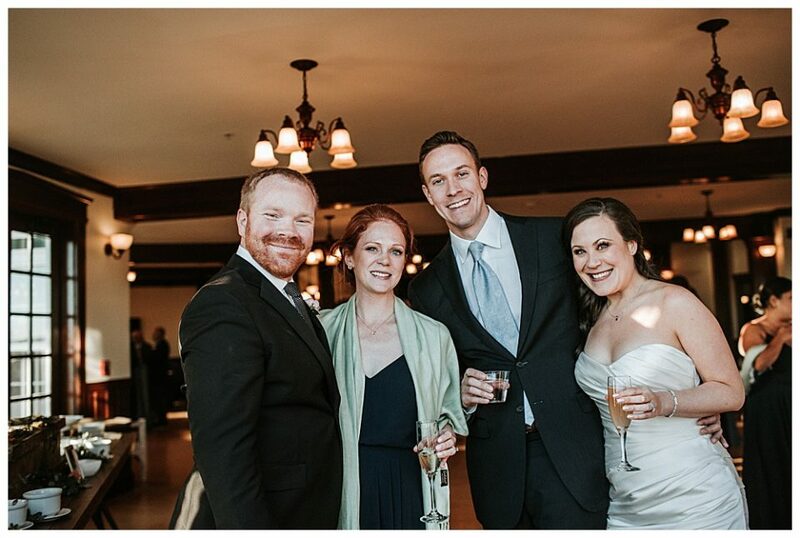 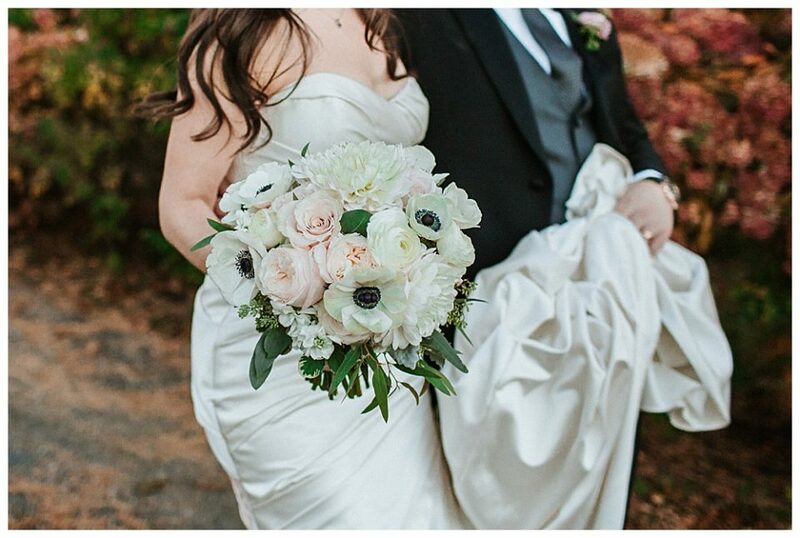 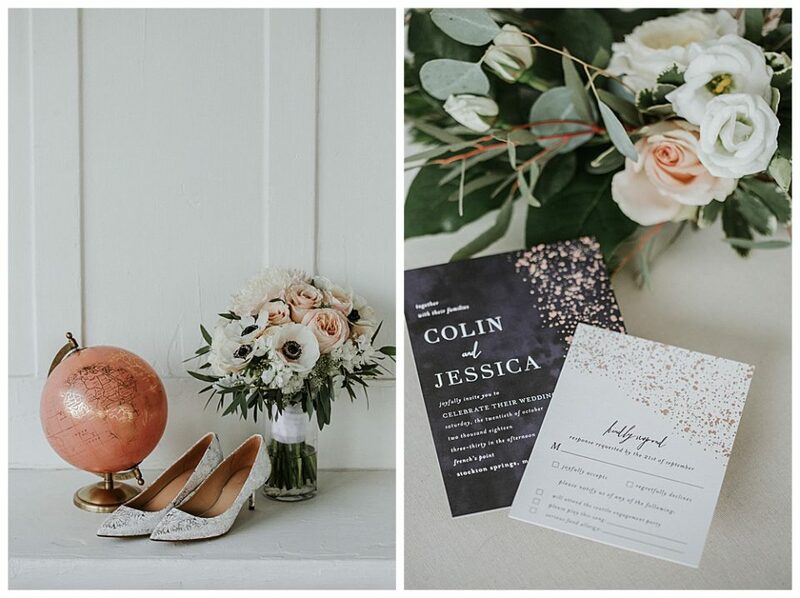 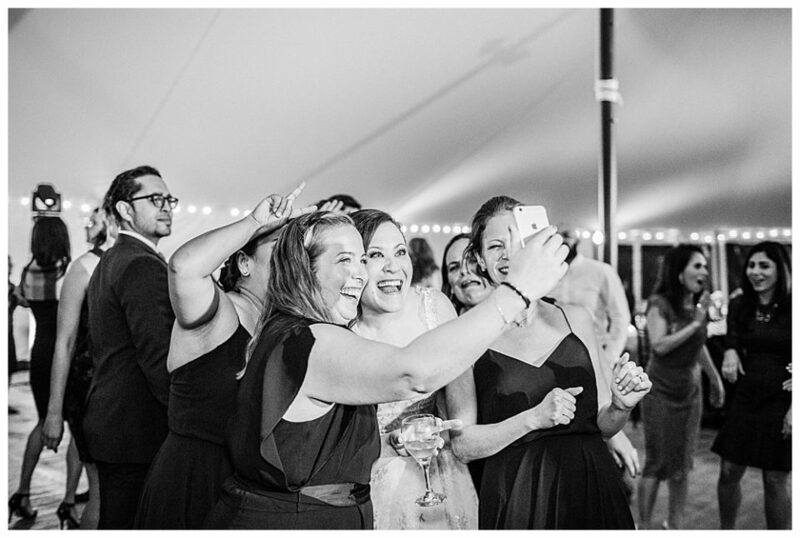 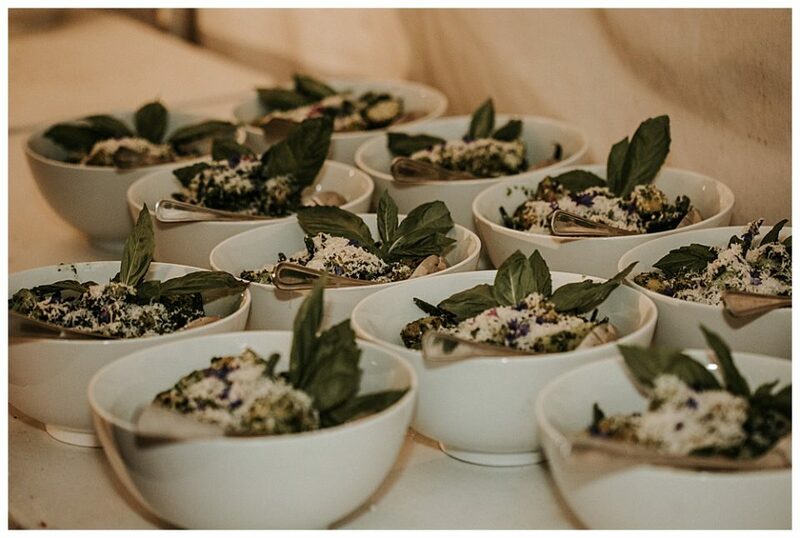 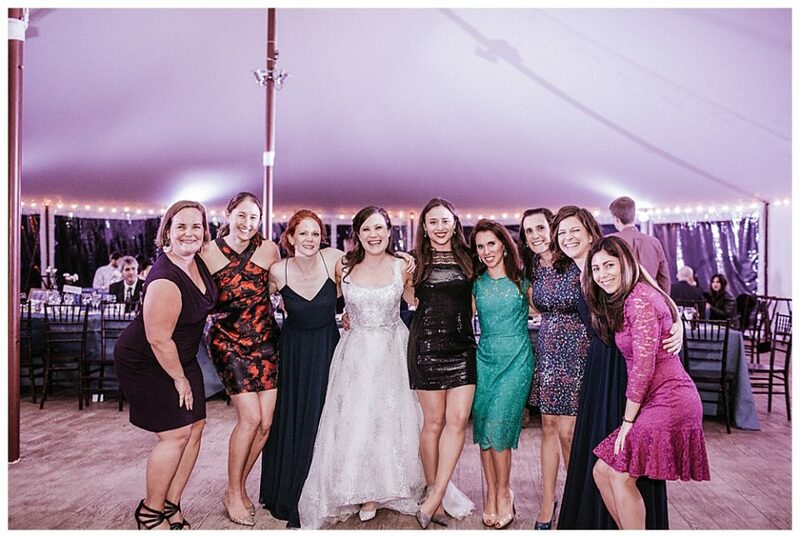 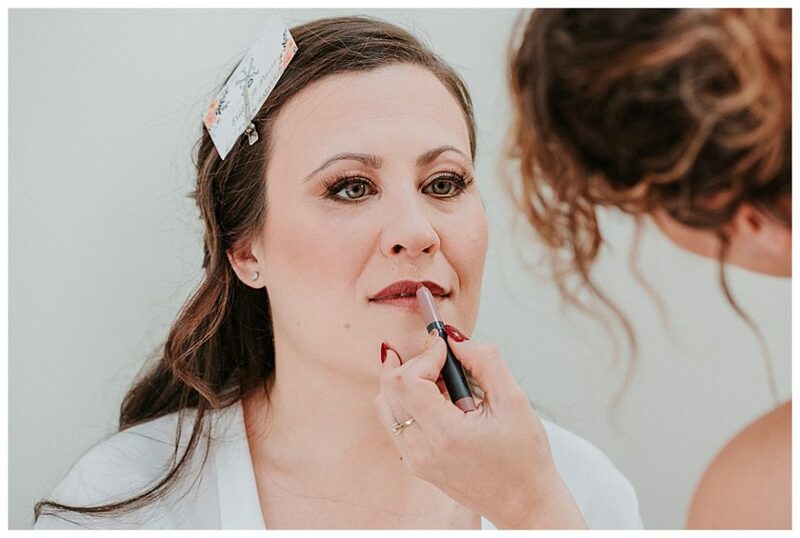 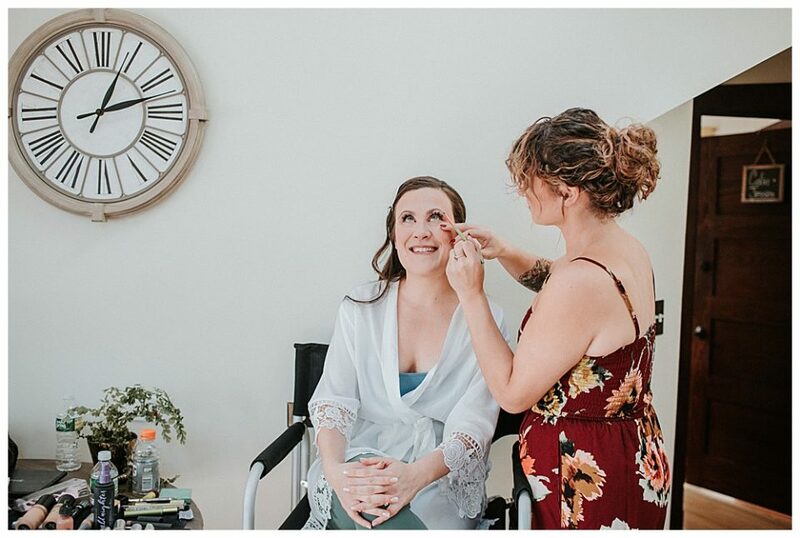 This wedding was very special to me as Jess is the sister of one of my very first grooms! 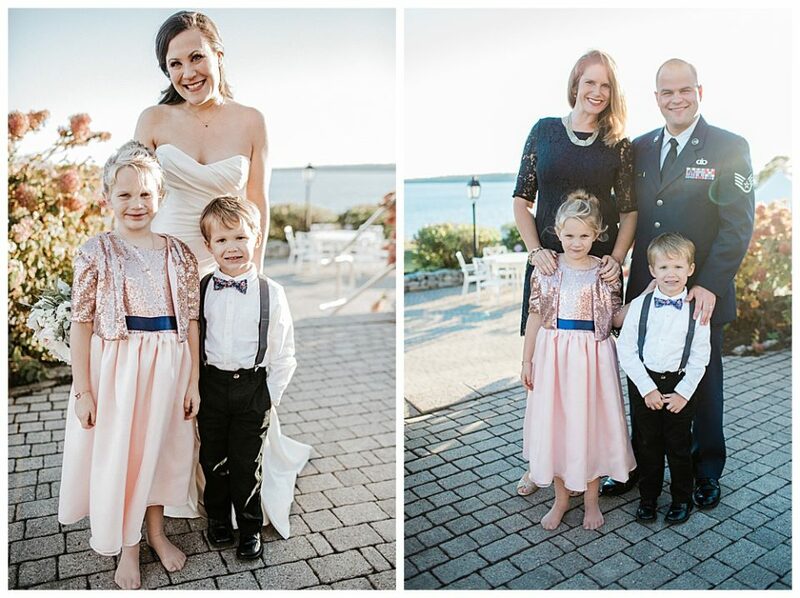 It was so wonderful to see them again as they have been stationed all over the world in these last 9 years! 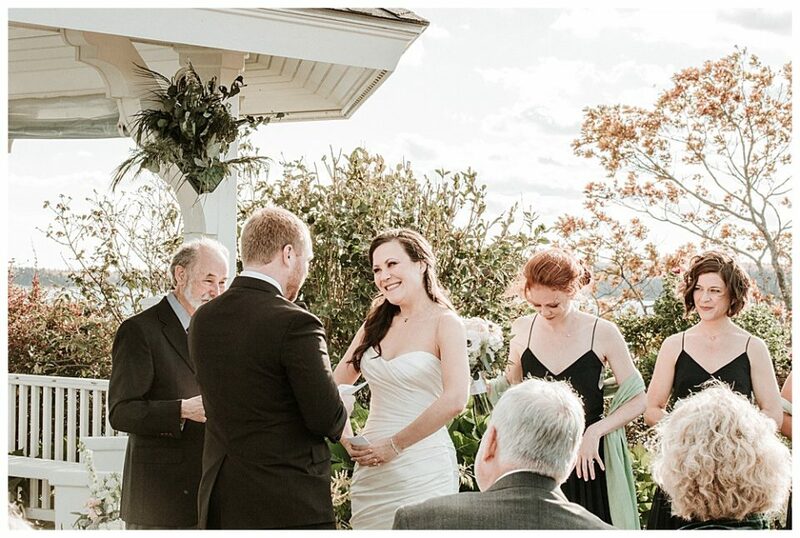 Furthermore, Colin was one of the very best grooms I have ever had! 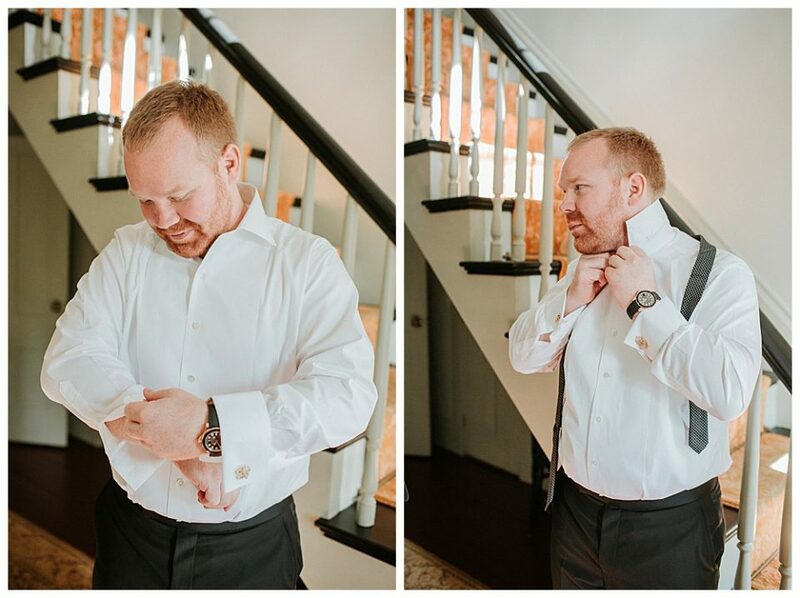 His business is interesting, he is never ever dull, and he loved Jess in such a clear fabulous way! 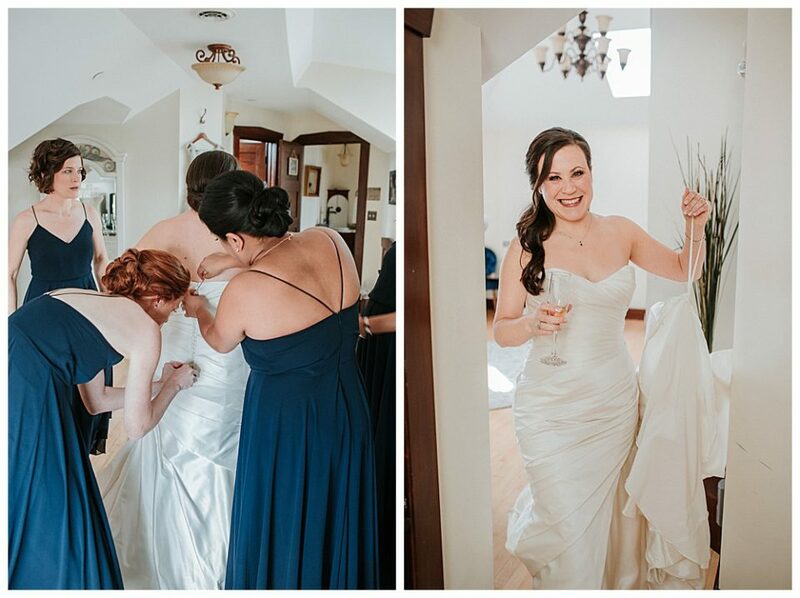 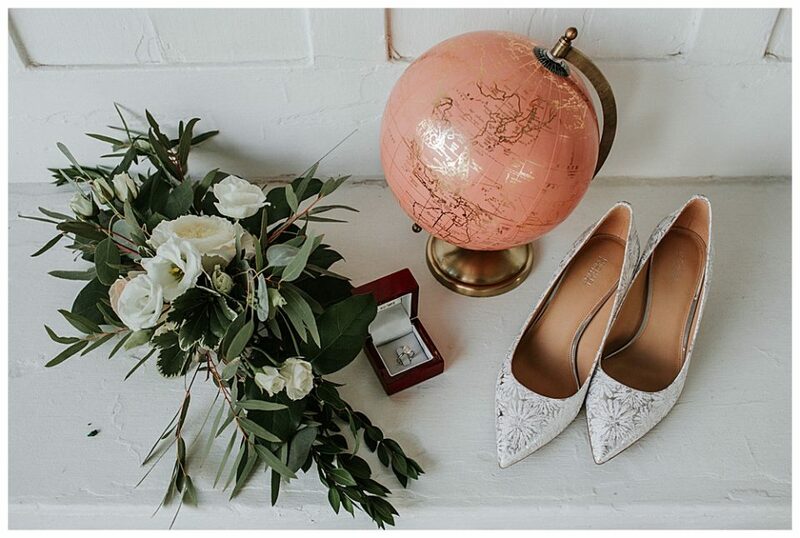 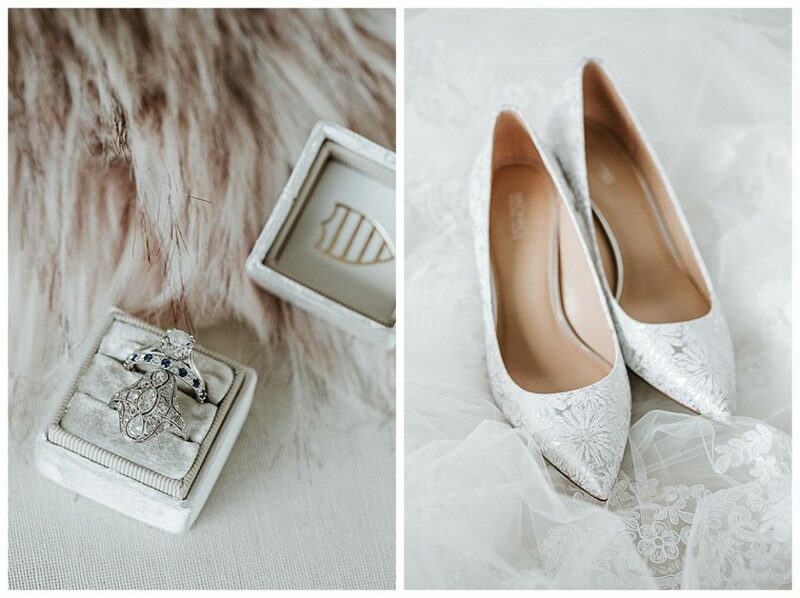 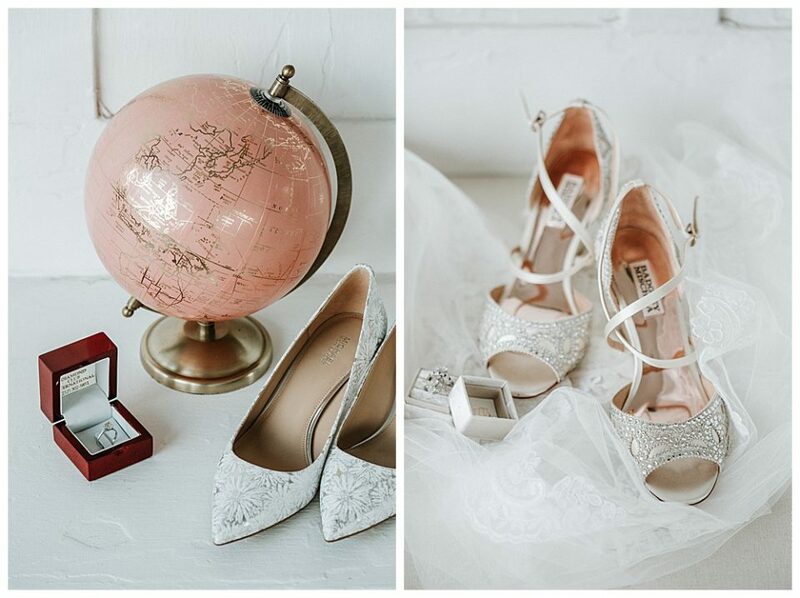 A few other things I loved about these two: Jess wore two wedding dresses and two pairs of shoes! 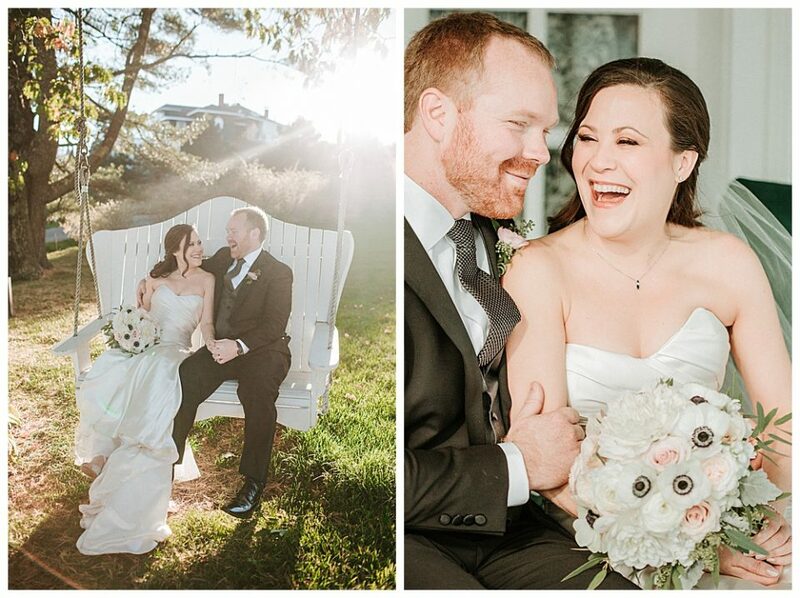 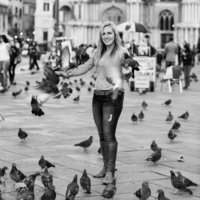 They both have a love of travel, and Colin loves of bird watching. 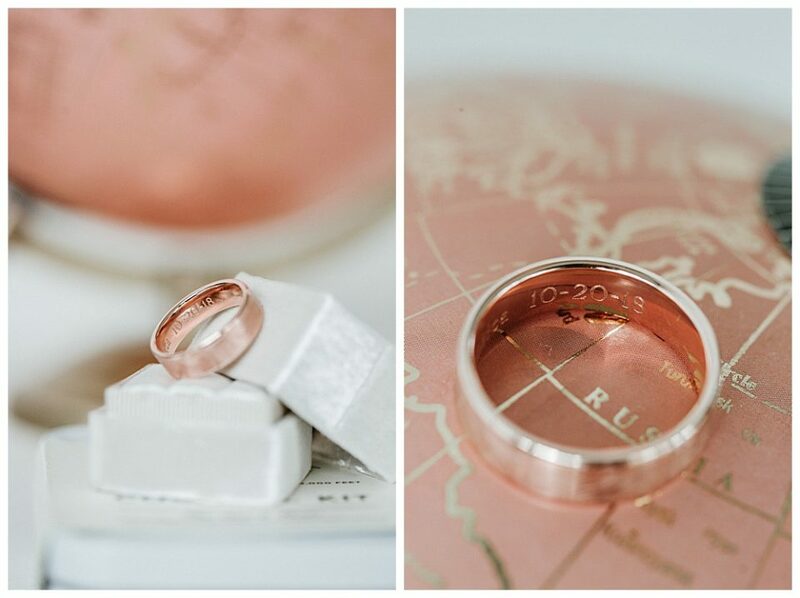 The rings were an heirloom from a dear family friend. 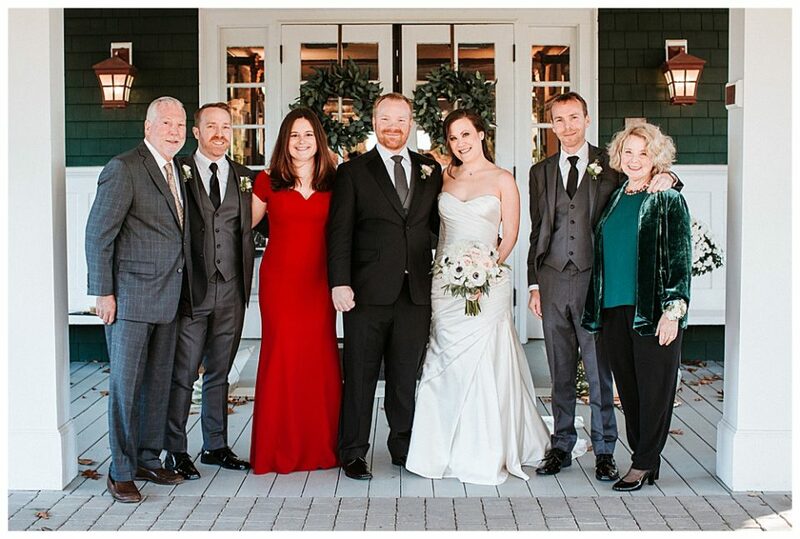 The same family friend that married them. 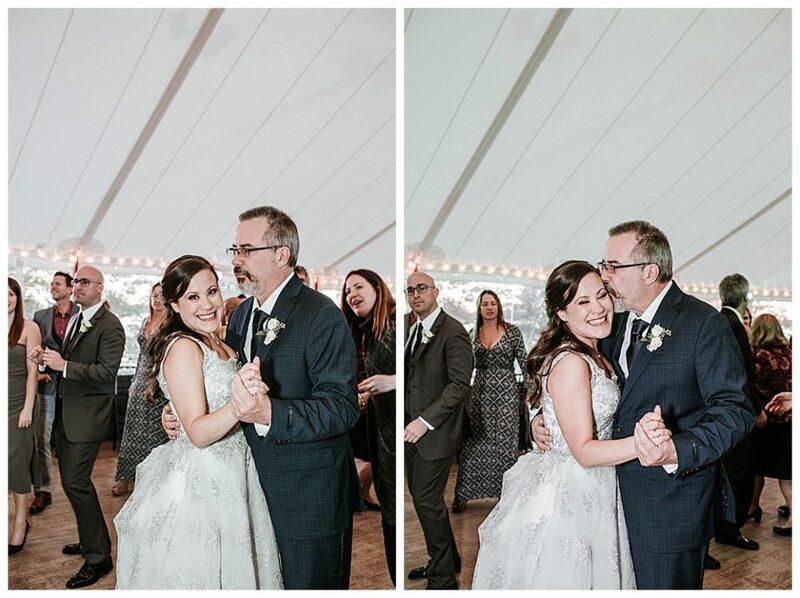 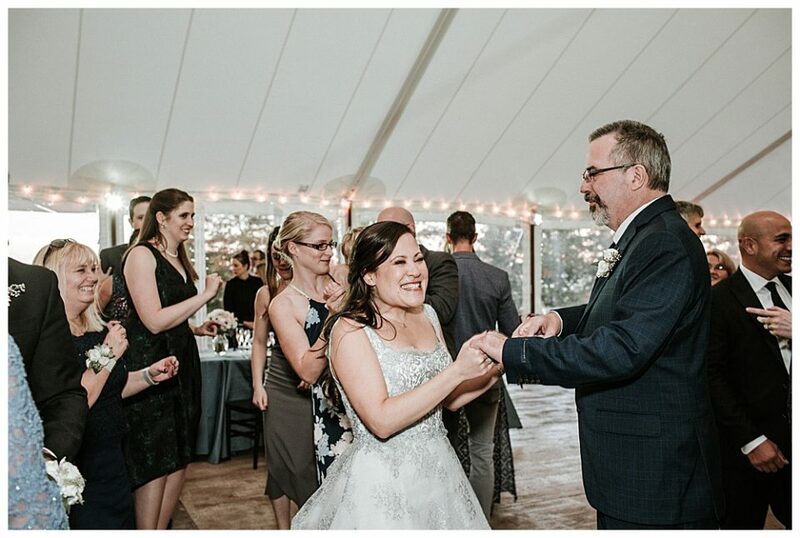 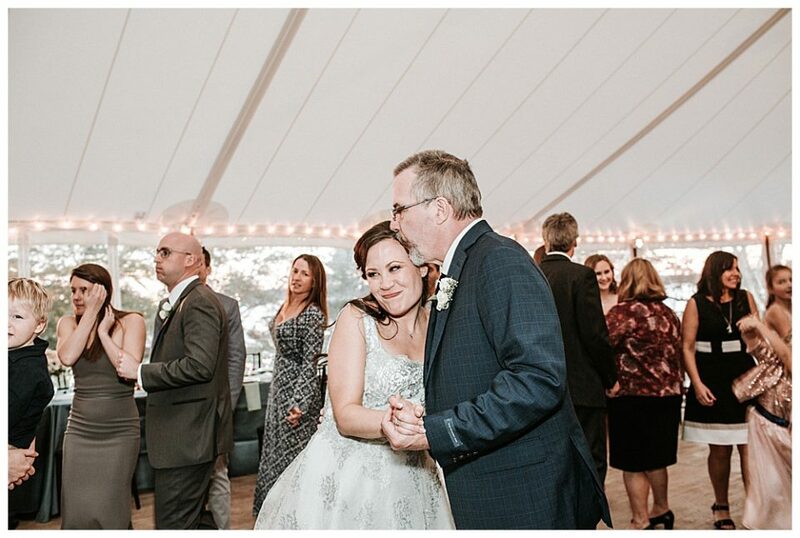 The moments shared between Jess and her Dad who isn’t in the best of health as well as the moments he shared with her brothers. 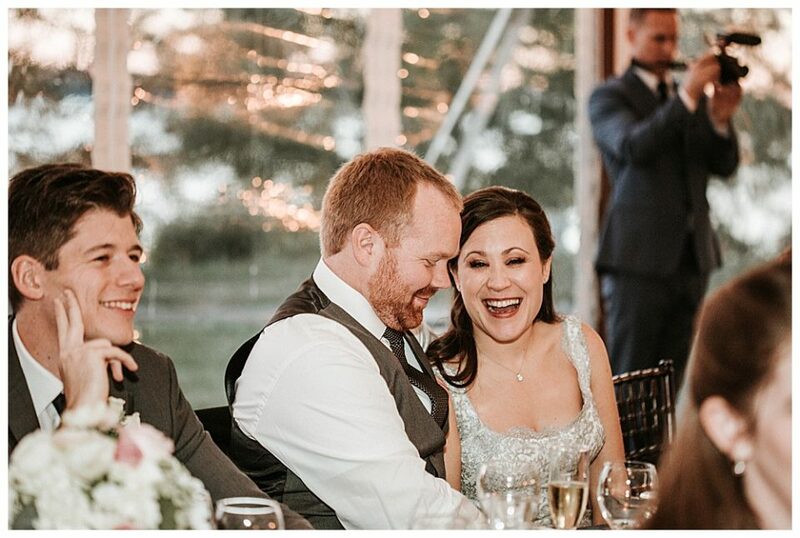 He would smile when the boys said “boobies” during the family photos and honestly it made me tear up. 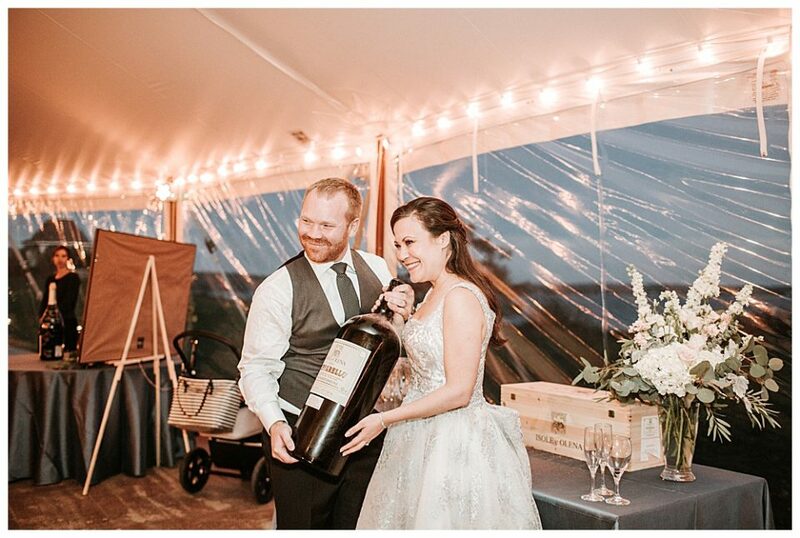 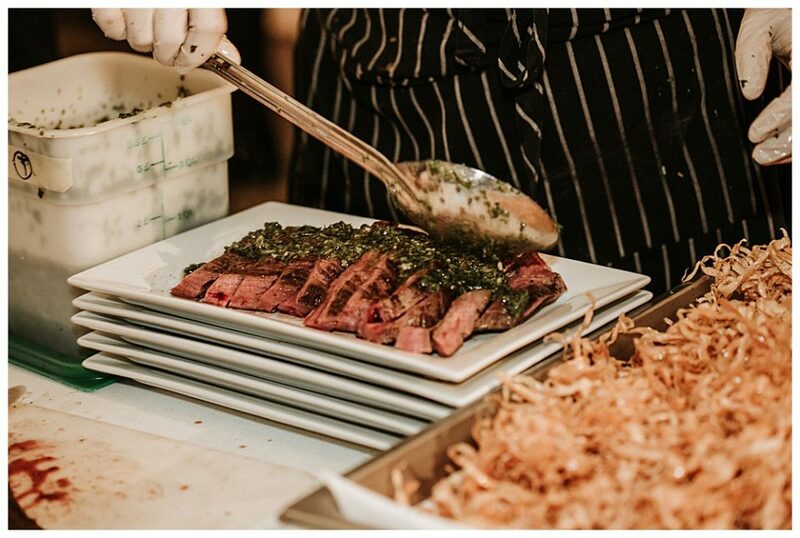 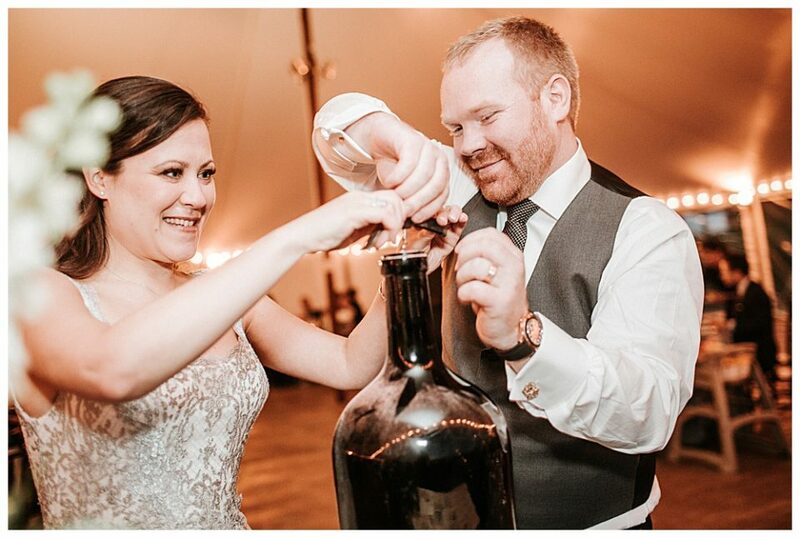 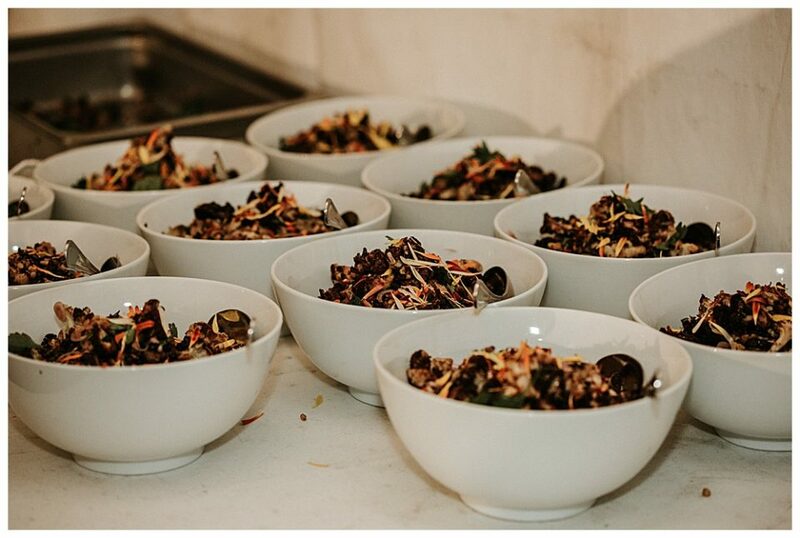 The part where they opened a massive bottle of wine and sent some to every table. 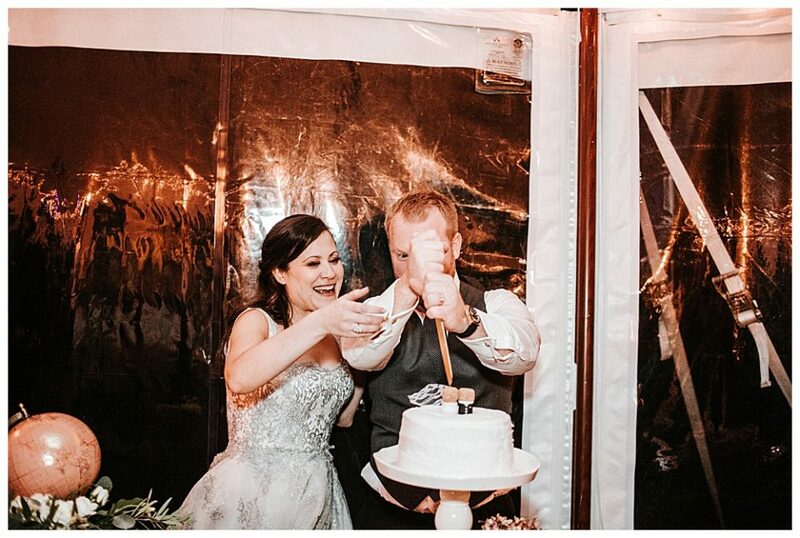 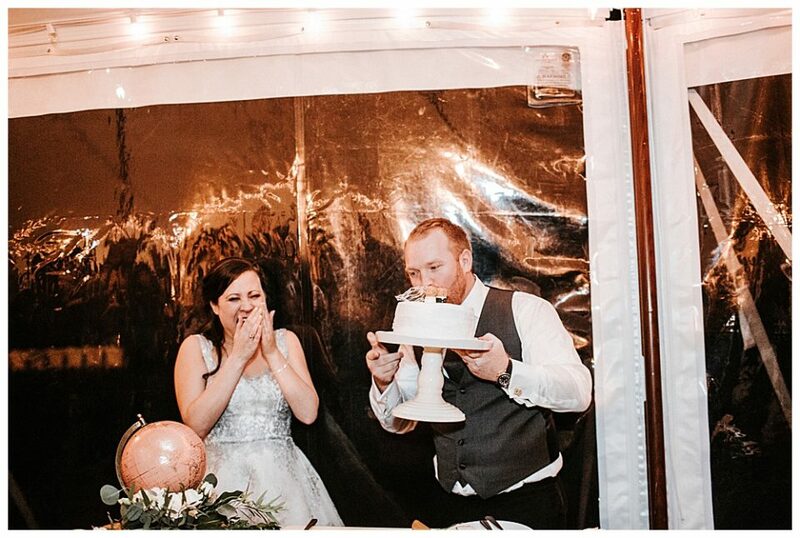 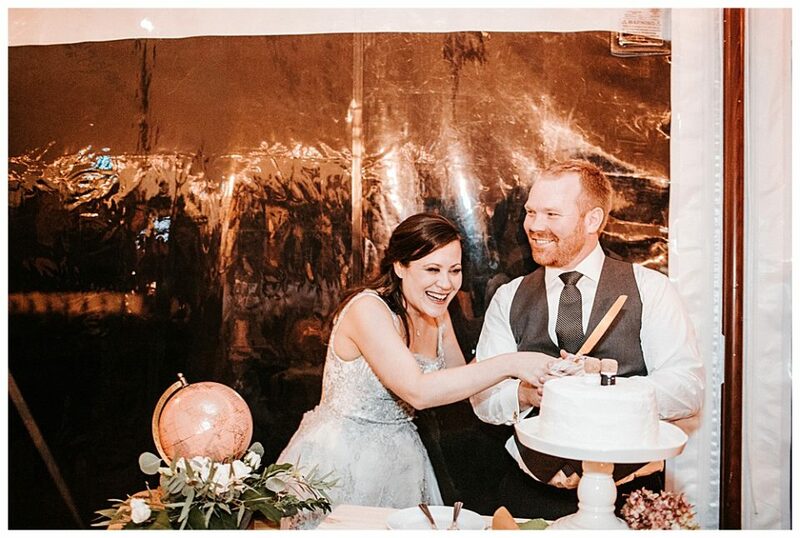 Or when Colin just started eating the cake without cutting it. 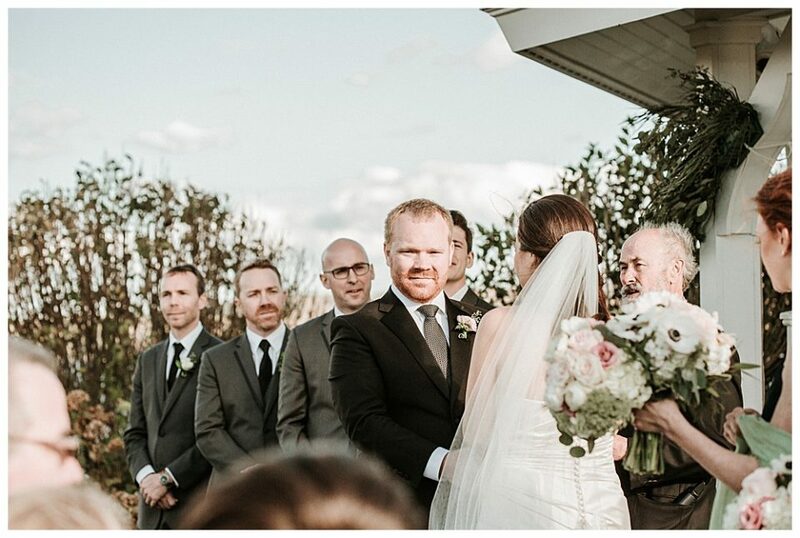 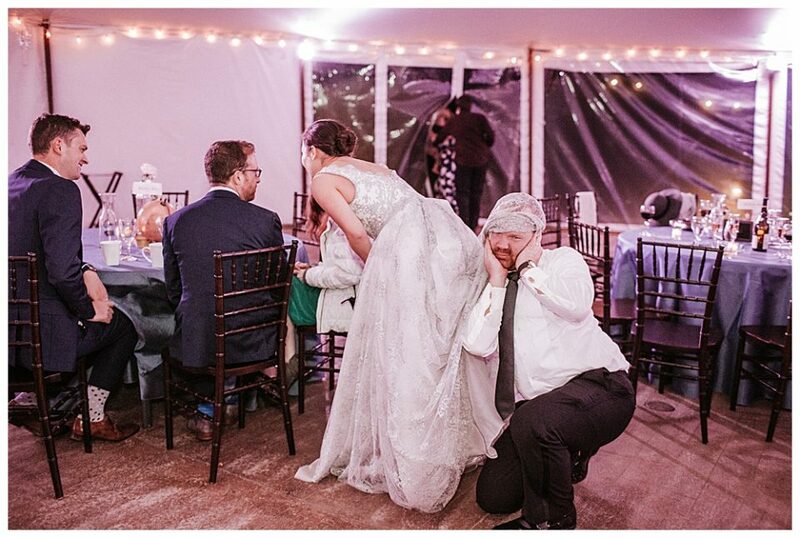 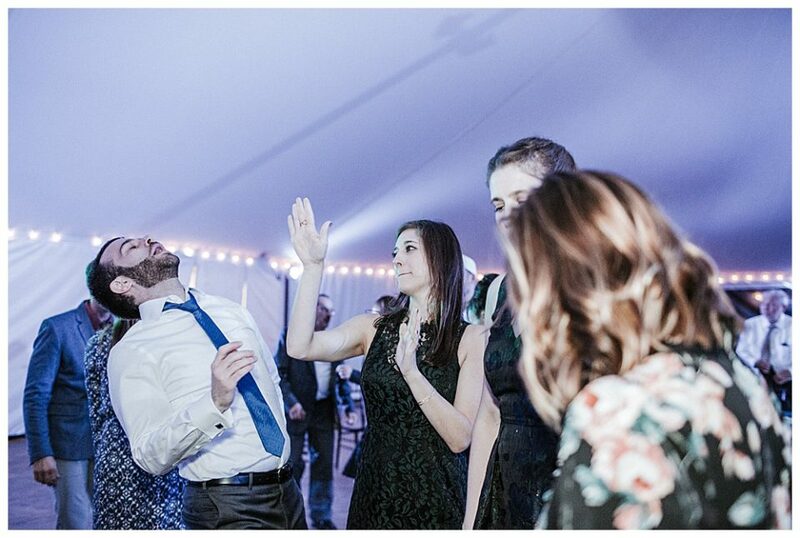 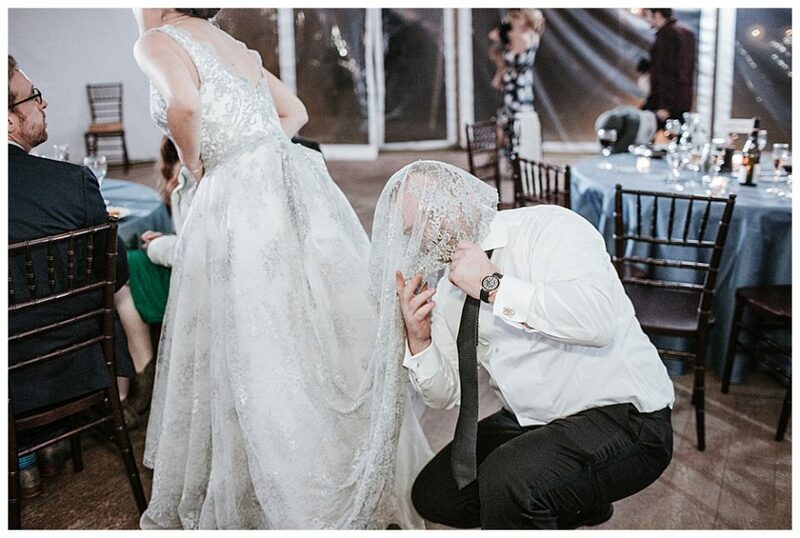 I am telling you this wedding was nothing short of wonderful.